Two weeks of paradise — explore Havana before enjoying an extended stay on the stunning sands of Varadero. You’ll have everything from world-class water sports to the vibrant nightlife. These contrasting destinations combine to make an ideal twin-centre holiday. 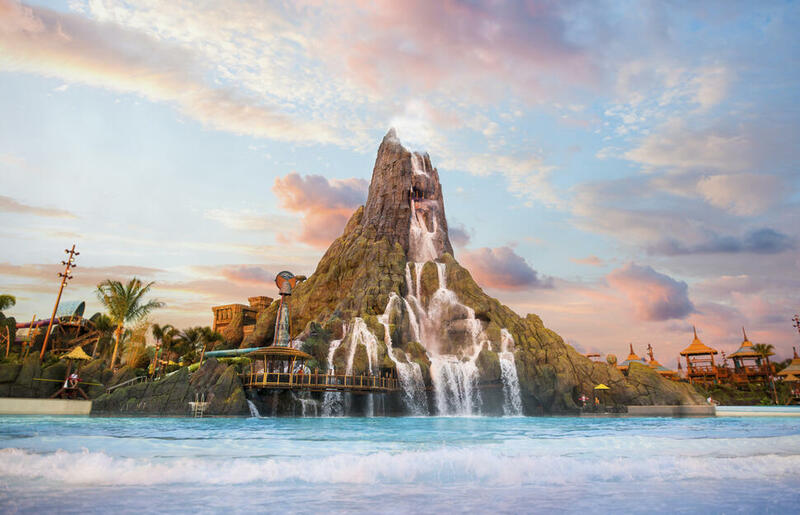 Not only is Dubai leading the way in the creation of some of the most outstanding hotels and resorts in world, but it also enjoys the unique position of being one of the most popular destinations for a multi-destinational holiday. 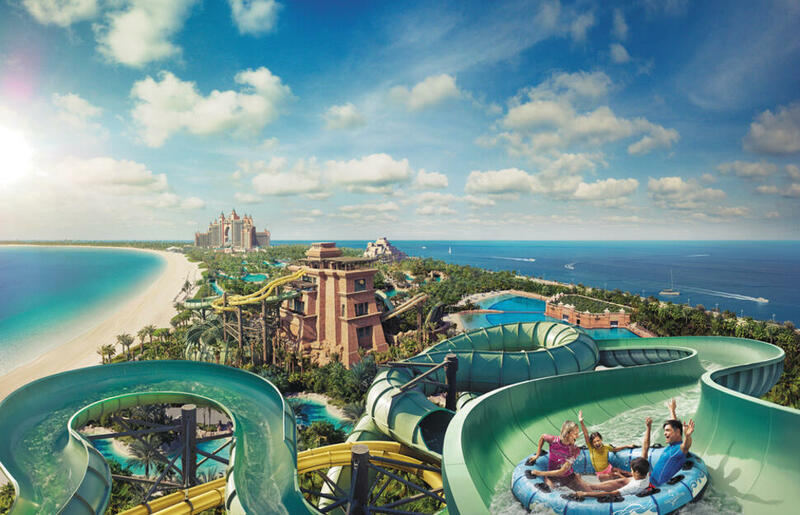 Capture some culture and glitz of Dubai and after a few days exploring, you’ll be ready for the chilled ambience of a secluded island in the Maldives. Grab your book and sit on the beach, head for the lagoon and swim with the fishes or maybe treat yourself at the spa. It&apos;s time to relax. Hollywood, home to a number of landmarks that reflect its celebrity history, from the Walk of Fame to the big Hollywood Sign conclude your trip in Las Vegas to explore the themed resort, from medieval castles to roman cities, exotic lands to iconic city skylines, you can easily travel around the world and through time visiting many casinos and resorts along The Strip! A city of bright lights, crazy dreams, spectacular shows and the biggest casinos in the world. Travel to New York, Egypt, Paris and Venice in a day! And who could forget New York City filled to the brim with big ticket landmarks, fantastic shopping and culture? 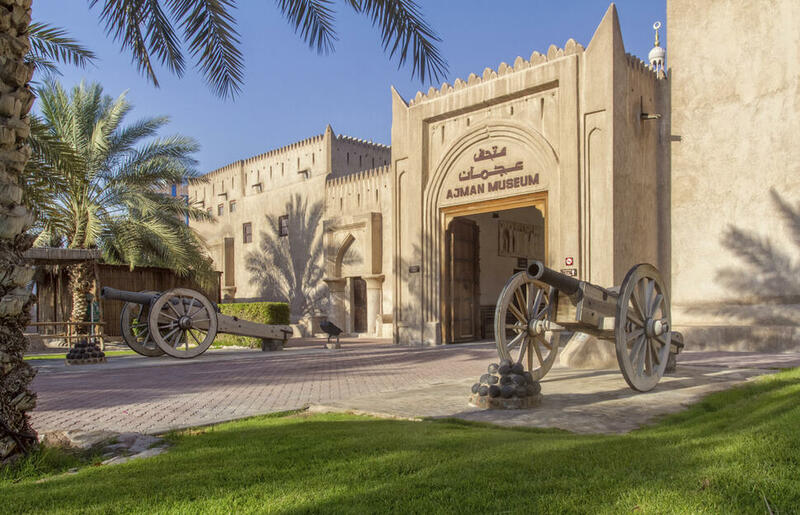 Perfect for combining culture and relaxation, travel to Ajman and enjoy a charming mix of colourful traditions, gold souqs and friendly people before heading to the excellent scuba-diving and luxurious resorts in the Maldives. 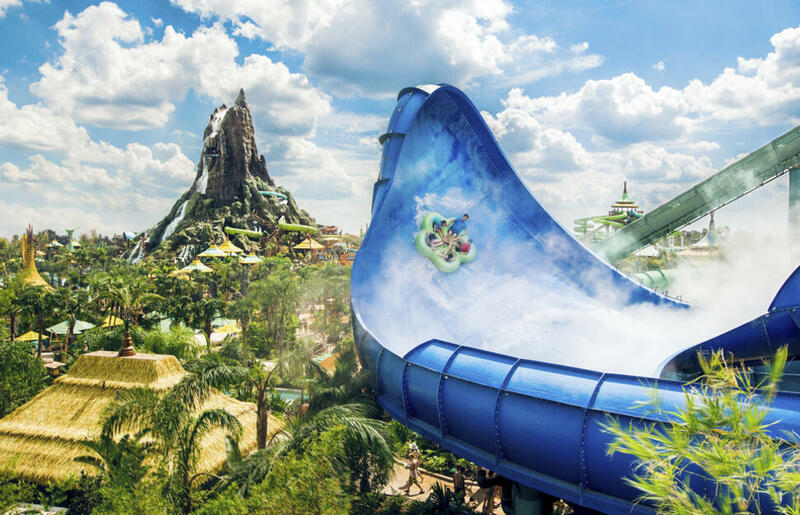 Africa is a thrill-seeker&apos;s paradise and an amazing place of contrasts so why not combine Cape Town and Sun City and discover what South Africa has to offer! 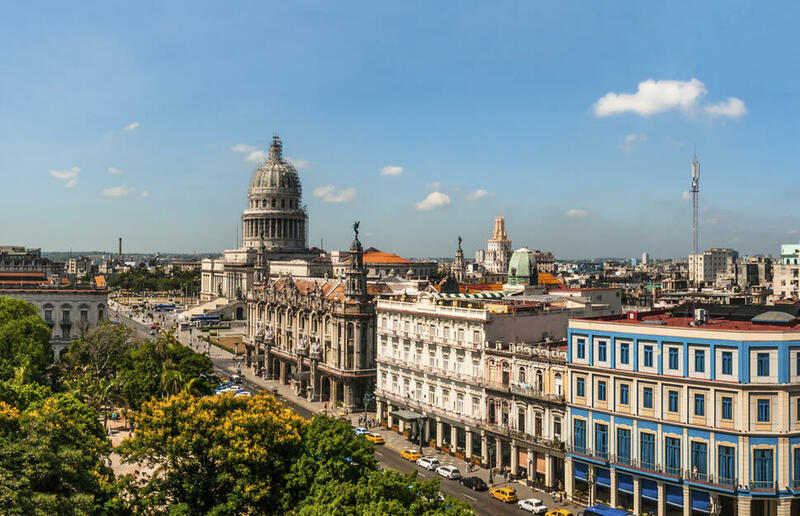 Walk along the cobbled streets of Havana listening to the beat of the Cuban salsa as you explore the rich history and culture the city has to offer. Sample the delicious mojitos and different rums, learn to salsa and feel the energy and passion in the streets. Once you have been enchanted by the warm hospitality of the Cubans in Havana, take a trip out to Varadero to relax on the soft beaches. Dip in the crystal clear ocean, explore the Artisan markets and dance the night away in the famous Casa de la Musica. If you’re looking for some glitz and glamour then look no further! Soak up San Fran’s uber cool vibe. Hit the highway to the Grand Canyon and Hoover Dam, a Wonder of the World guaranteed to impress. The pace picks up as you enter Nevada and hit the dazzling Vegas. In Los Angeles rub shoulders with the stars and drive over the hills. Remember to get your photo by Hollywood’s famous sign! 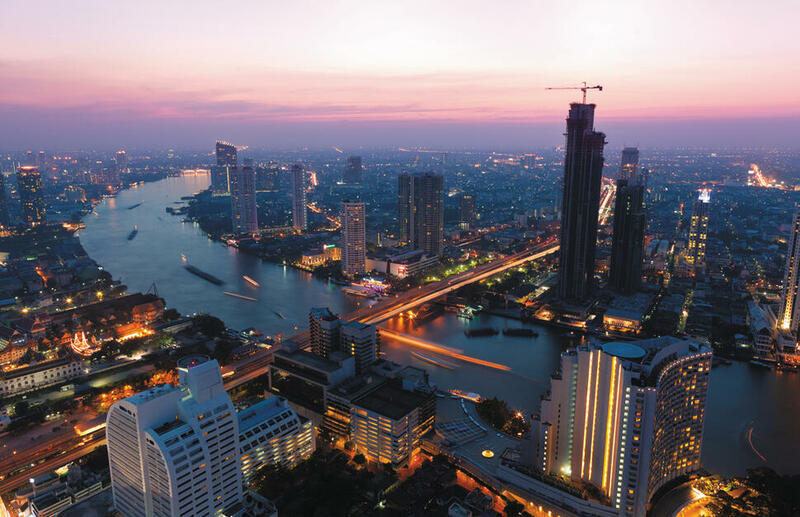 Bangkok is an adventure...hectic pace, smiling crowds, the wonderful disorder of it’s geography, the constant mix of old and new, the heady night-life and the amazing culinary scene! This 10-night holiday is the perfect introduction to the Caribbean’s best-kept secret. 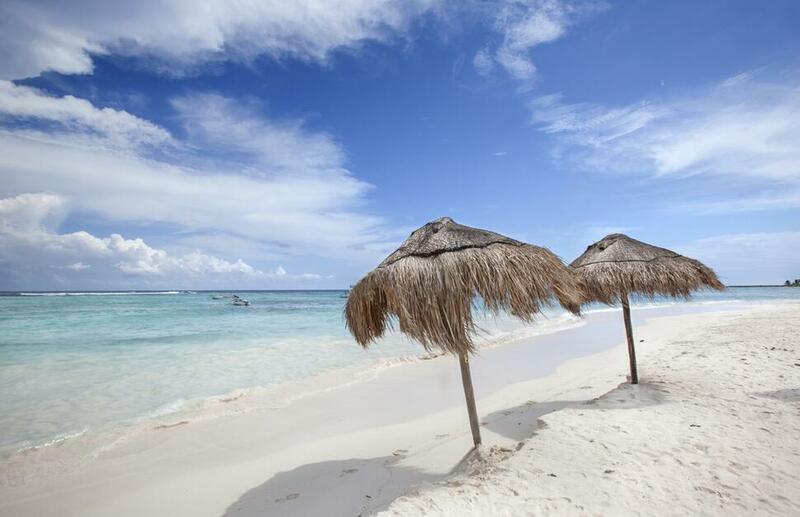 Enjoy the capital’s time-travel colonial elegance before heading to Varadero for the incredible beaches. 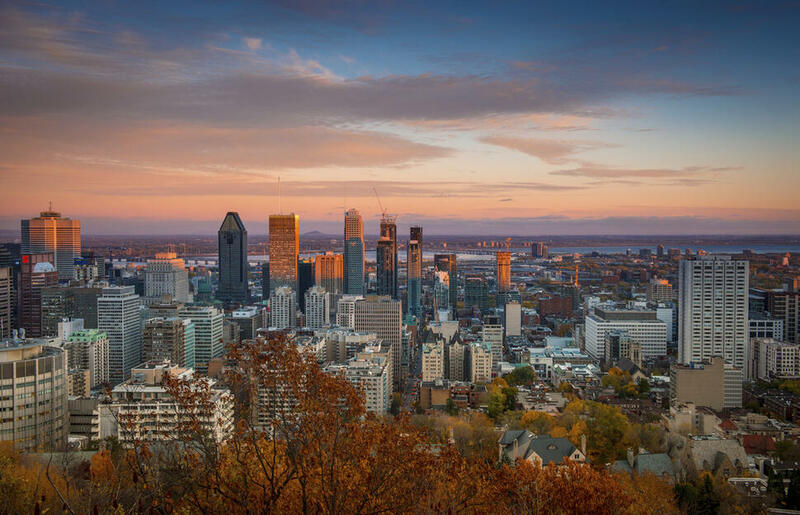 From dynamic festivals and delicious food to the fascinating history and vibrant arts and culture scene, this is what gives Montreal a lot of its character. Mid-way between Montreal and Ottawa is Montebello where you’ll find the world-famous Fairmont Le Château Montebello, the largest log structure ever built. Canada’s capital, Ottawa, is as charming as it is full of surprises. Pretty parliament buildings by the Rideau Canal blend with lively festivals, unique shops, bars and bustling ByWard Market’s foodie hub. 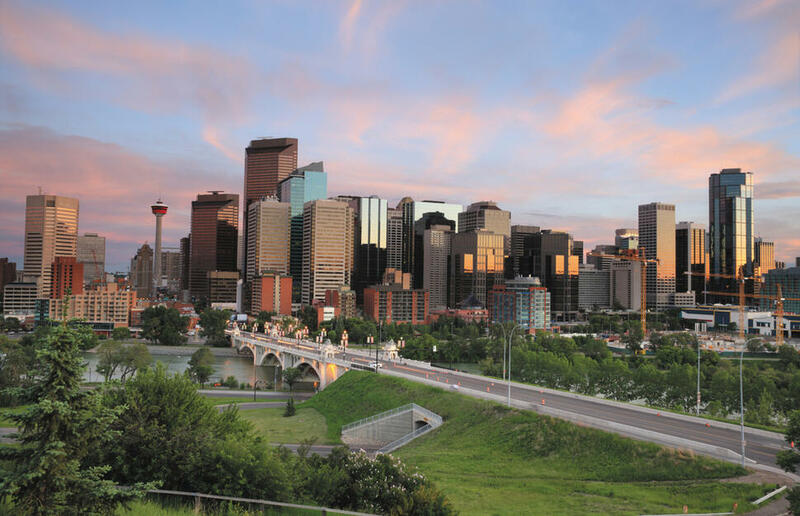 Calgary is a cosmopolitan city and the gateway to The Rockies. Cowboy culture is kicking in Calgary, even if you’d rather get your coffee from a hipster bistro than in a tin mug! The lively town of Banff combines astounding natural beauty with first-class hotels and unique culture. From up here in Canada’s highest town (1,383m), the Alberta Rockies look astonishingly good. Toronto beckons you to explore its Chinatown, Indian Bazaar and culture-rich neighbourhoods. Dine in style at the CN Towers in its very own revolving restaurant offering unrivalled 360-degree views over this awe-inspiring metropolis. 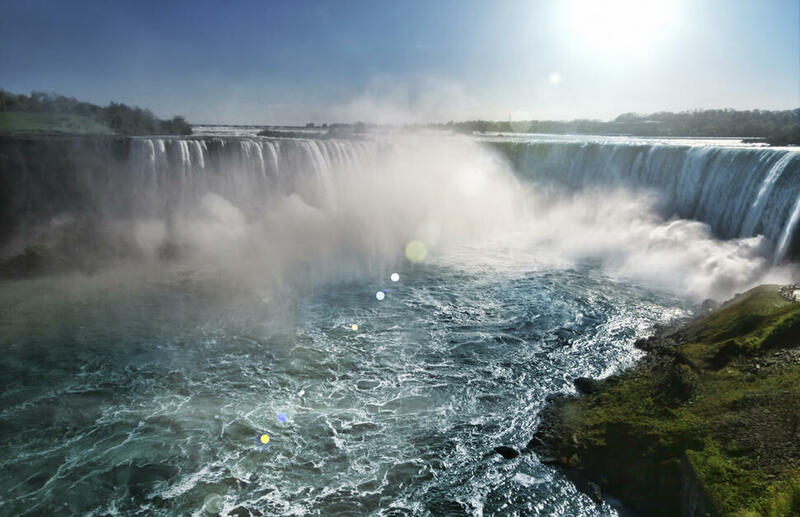 Visit the awesome spectacle of Niagara Falls, a wonder of the world and unforgettable experience. 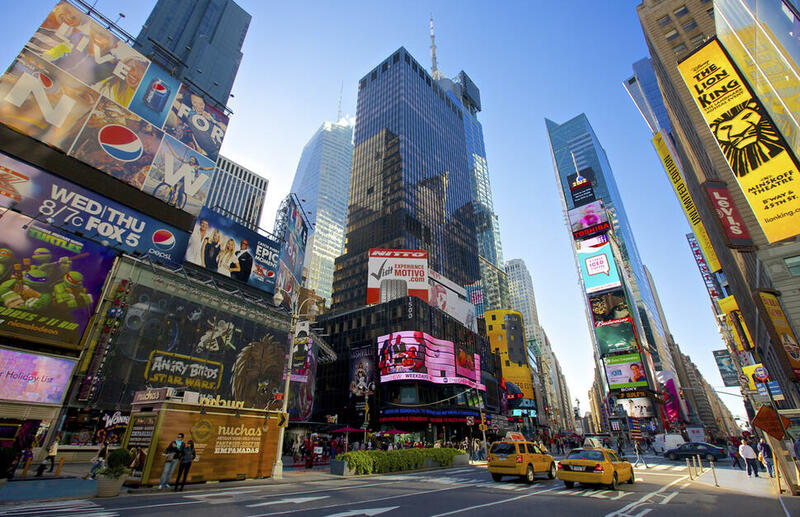 In New York, purchase a CityPASS and gain access to top attractions. Find your inner King Kong at the iconic Empire State Building, the ultimate New York experience. 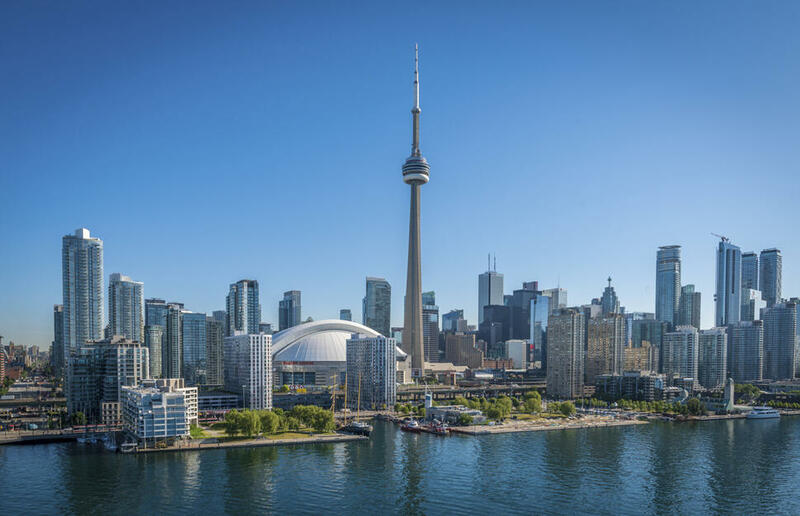 Toronto beckons you to explore its Chinatown, Indian Bazaar and culture-rich neighbourhoods. Dine in style at the CN Tower in its very own revolving restaurant, offering unrivalled 360-degree views over this awe-inspiring metropolis. Canada’s capital, Ottawa, is as charming as it is full of surprises. Pretty parliament buildings by the Rideau Canal blend with lively festivals, unique shops, bars and bustling ByWard Market’s foodie hub. See Havana in all its glory, oozing charm and culture, it&apos;s no wonder this city was declared a UNESCO World Heritage site. Learn to salsa, sip mojitos and try different rums, and enjoy the colonial charm at every turn you take. Once you&apos;ve experienced all that Havana has to offer, head to Jibacoa for some much needed rest and relaxation on the white sand beach, or at the poolside. Experience the city buzz of the Big Apple to explore some of the worlds best iconic sights from the Statue of Liberty to the Empire State Building. With so many shopping opportunities available why not splash the cash on 5th Avenue or the trendy stores in SoHo? After all of that hustle bustle head to Mexico to explore picturesque beaches, vibrant food, unrivalled festival and exciting party scenes! Start your tropical trip off in cosmopolitan Barbados, mixing your time on the beach with soaking up the colonial past visiting restored plantation houses, rum distilleries and the historic capital of Bridgetown or in contrast, browse the designer shops and duty-free shopping centres along the west coast. Then hop across to St Lucia and be wowed by the stunning scenery, beautiful beaches and enjoy the Creole-influenced cuisine. 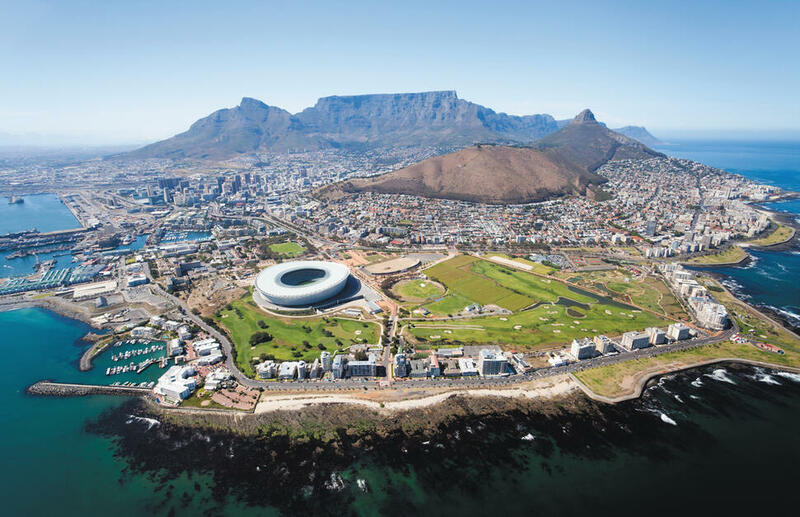 This is a fabulous opportunity to enjoy 3 of South Africa&apos;s most fabulous locations, Cape Town and the Western Cape. 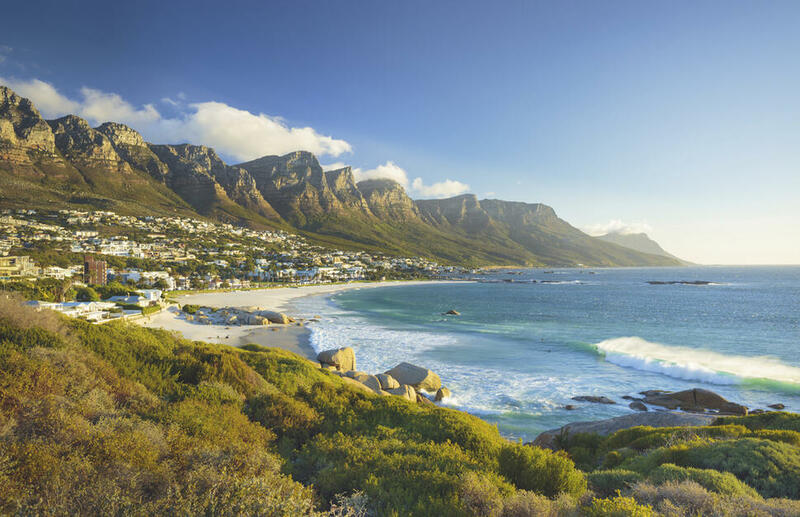 From Table Mountain and Boulders Beach to wine estates and gourmet restaurants, South Africa is a vast kaleidoscope of experiences. Havana oozes charm and culture, it&apos;s no wonder the city was declared a UNESCO World Heritage site. Learn to salsa, sip mojitos and try different rums, and enjoy the colonial charm at every turn you take. Once you&apos;ve experienced all that Havana has to offer, head to Jibacoa for some much needed rest and relaxation on the white sand beach, or at the poolside. 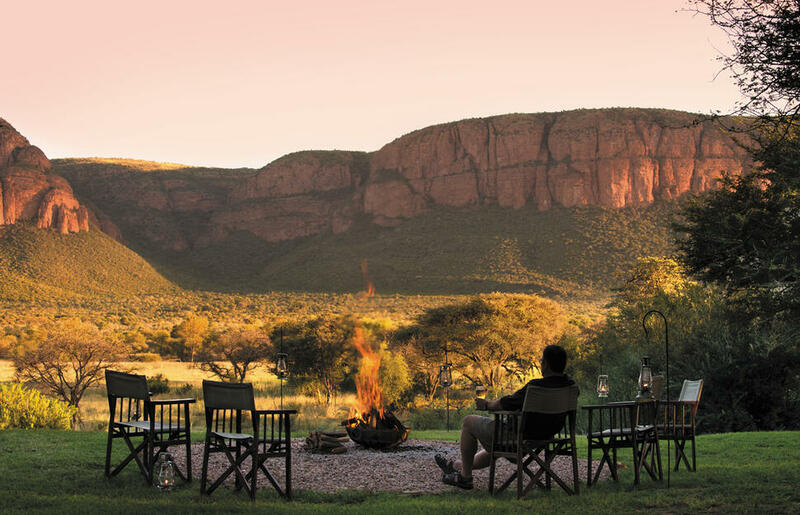 Begin in the Marakele National Park where you will have the opportunity to catch a glimpse of some fantastic local wildlife before heading to the buzz of Sun City with the excitement of its world-class restaurants, dazzling stage shows and water theme parks. Vegas is the place for thrills and spills so make sure you devote a day of sun worship around one of the many themed pools! Unwind afterwards and spend 7 nights in Oahu to experience something different. Laze on pristine sandy beaches, hike lush trails or witness history at Pearl Harbour. If it&apos;s glamour you seek Oahu offers some of the best tranquil surroundings! 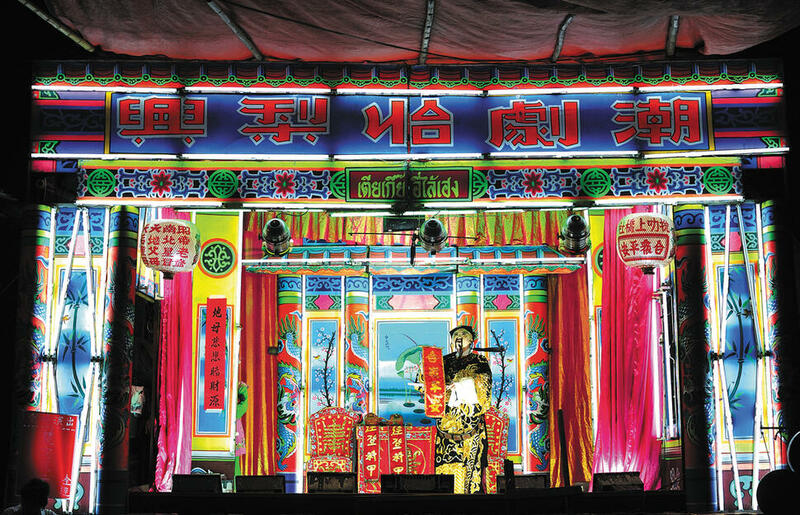 In Singapore, the atmospheric ethnic streets of Little India and Chinatown rub up against the skyscrapers in a vibrant blend of ultra-contemporary and reassuringly traditional cultures. 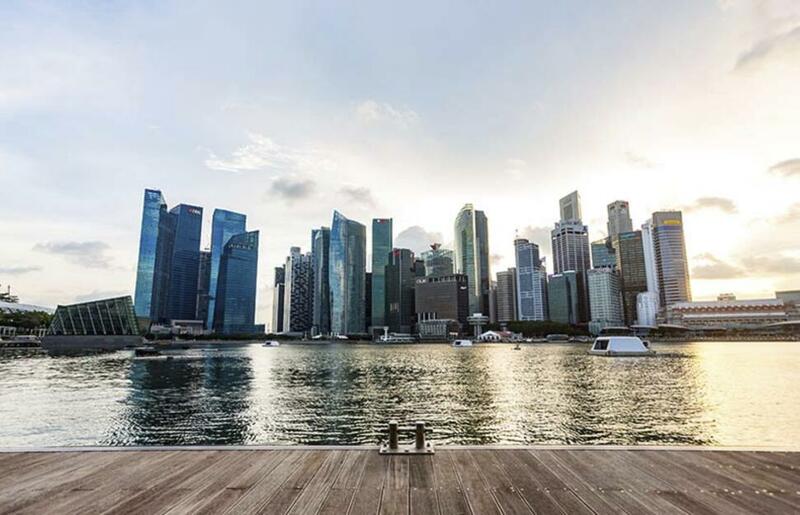 You can explore the history, eat the best food in Asia, shop your socks off and round it all off with a relaxing harbour cruise. Stop by Raffles for afternoon tea or enjoy a cocktail in the Long Bar where the Singapore Sling was invented! A visit to &apos;Asia&apos;s favourite playground&apos;, Sentosa Island, just minutes from the city, is also a must! 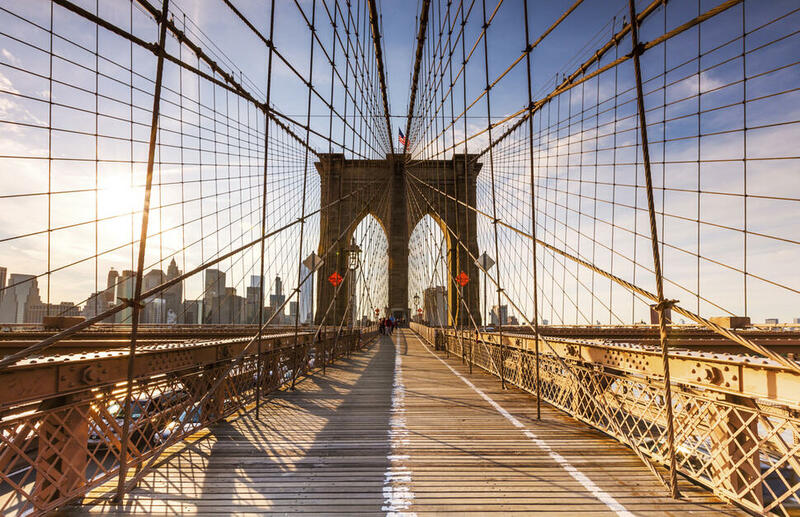 In New York, purchase a CityPASS and gain access to top attractions. Find your inner King Kong at the iconic Empire State Building, the ultimate New York experience. Toronto beckons you to explore its Chinatown, Indian Bazaar and culture-rich neighbourhoods. Dine in style at the CN Towers in its very own revolving restaurant offering unrivalled 360-degree views over this awe-inspiring metropolis. Visit the awesome spectacle of Niagara Falls, a wonder of the world and unforgettable experience. Discover two distinctive, stylish destinations in one holiday. 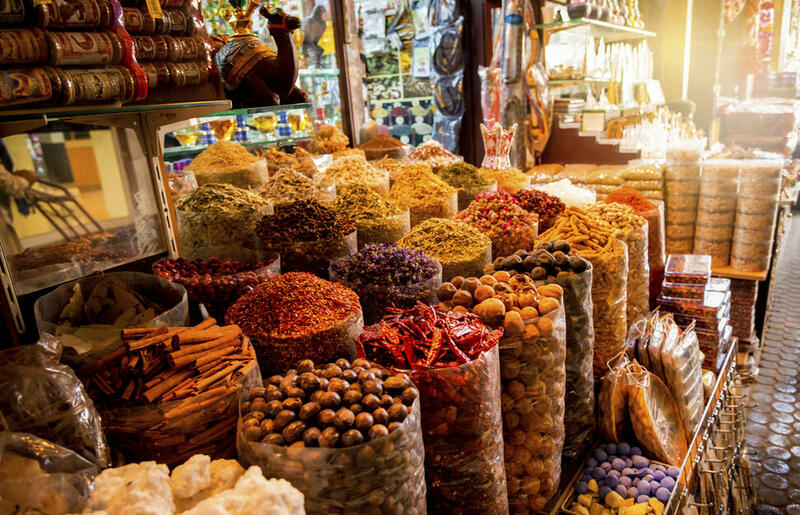 A vibrant city, Dubai is ideal for a few days — absorb the unique culture and exploring exciting attractions, before you get ready to kick off your shoes and relax in the Maldives. Find a secluded spot on the beach, grab a snorkel and explore the coral reef and enjoy the chilled our vibe of the beach bar. You might not want to leave. 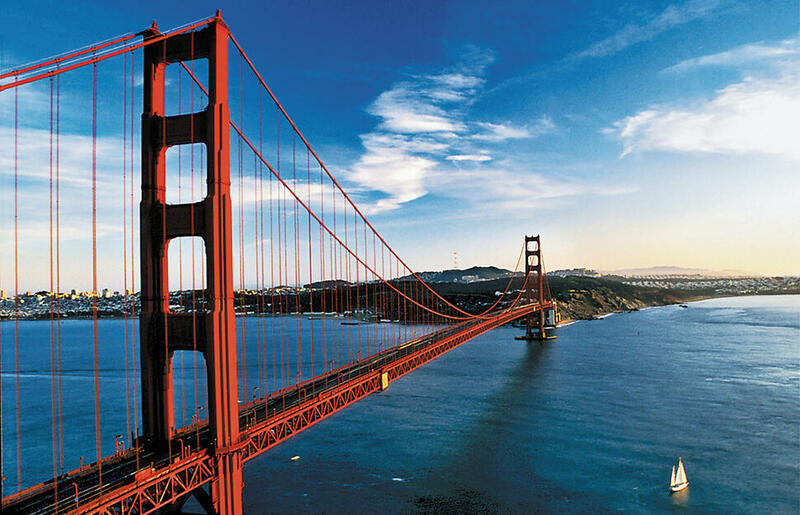 Explore the cosmopolitan city of San Francisco and take in the iconic sights such as the Golden Gate Bridge, Lombard Street, Chinatown and of course Alcatraz. Sample the wonderful fresh seafood at Fisherman’s Wharf and then ride the trams up to Union Square for some retail therapy. The city is home to some fantastic Victorian architecture, lots of clubs, bars and great restaurants. 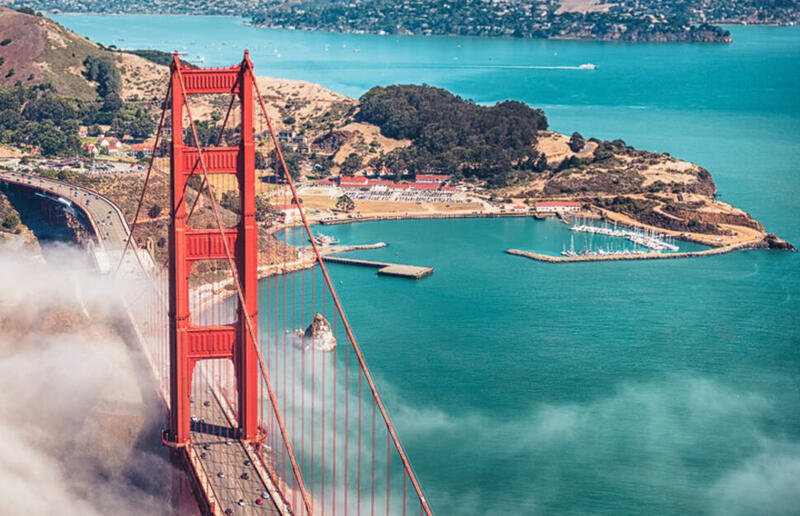 Make time to venture across the bridge and visit the beautiful coastal town of Sausalito, with its quaint shops, art galleries and waterfront restaurants. 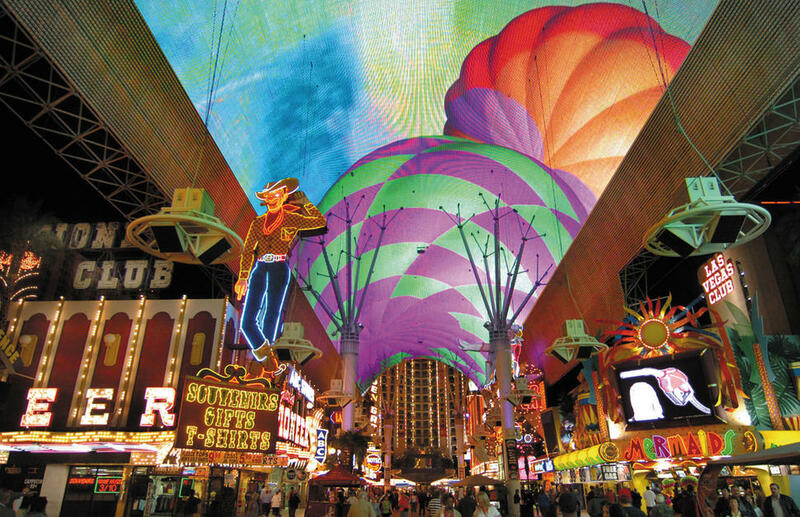 Arrive in dazzling Las Vegas, the ultimate entertainment capital of the world. 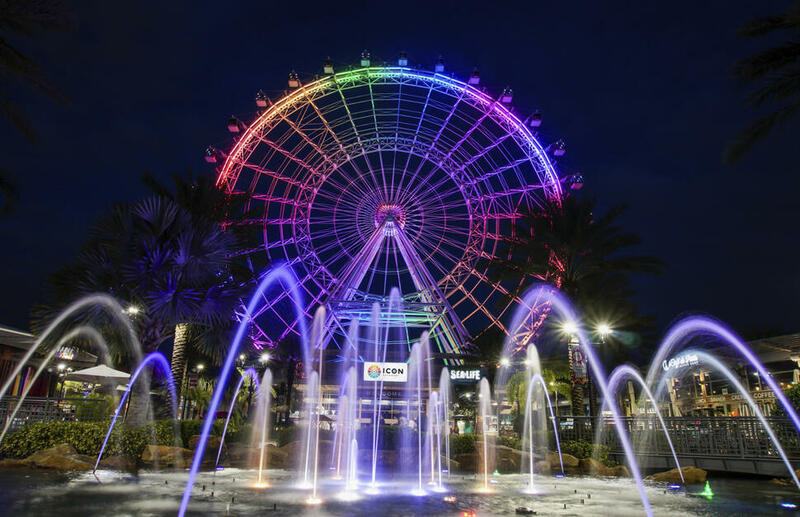 Explore this flamboyant, exciting, infamous city, with its themed hotels, spectacular shows, world-class shopping and gourmet restaurants, before you try your luck in the casinos and experience the cool nightclubs and bars. 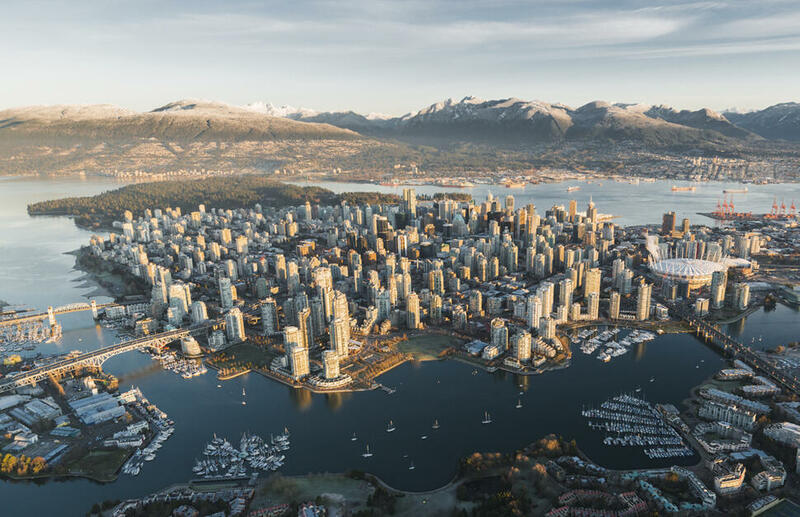 As British Columbia’s largest city, Vancouver is a haven for outdoor enthusiasts and cosmopolitan adventurers alike. 30 kilometres of uninterrupted waterfront path surround Vancouver’s favourite neighbourhoods, including the seawall around Stanley Park. Whistler, just 2 hours north of Vancouver has a list of summer activities a mile long. 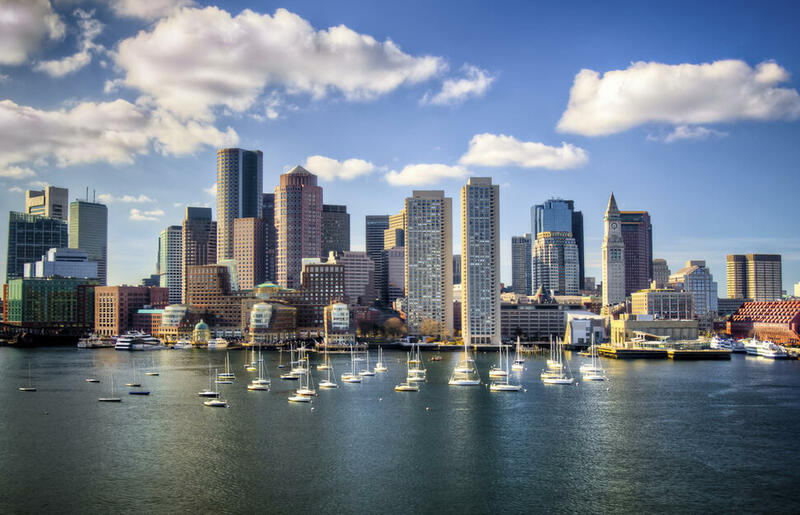 Topped off with an eclectic mix of events, family-friendly atmosphere and a fun and vibrant arts and culture scene for the ultimate summer destination. 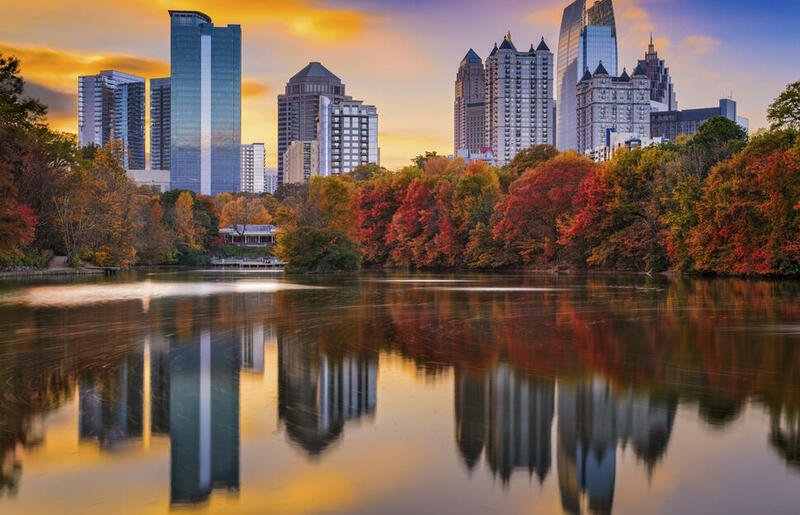 Two cities that have it all. 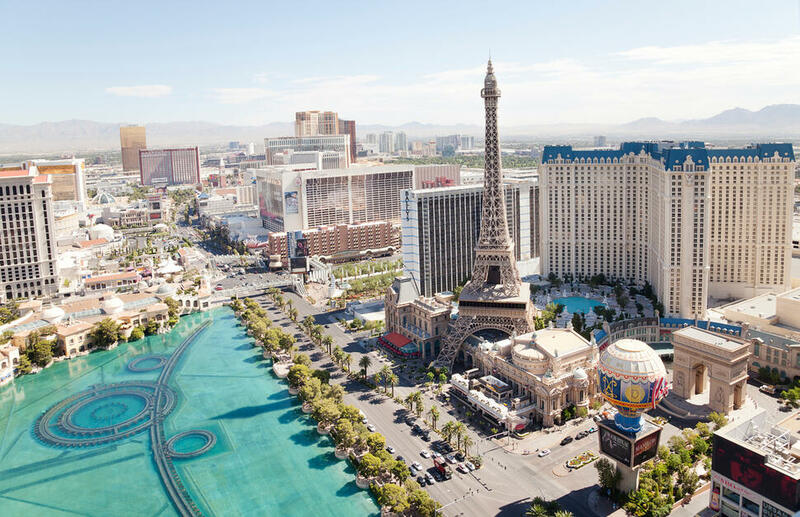 Set the pace and hit the dazzling Las Vegas, with its bright neon lights and endless entertainment options. Be sure to check out a show on The Strip and also the Grand Canyon via helicopter whilst you&apos;re there. 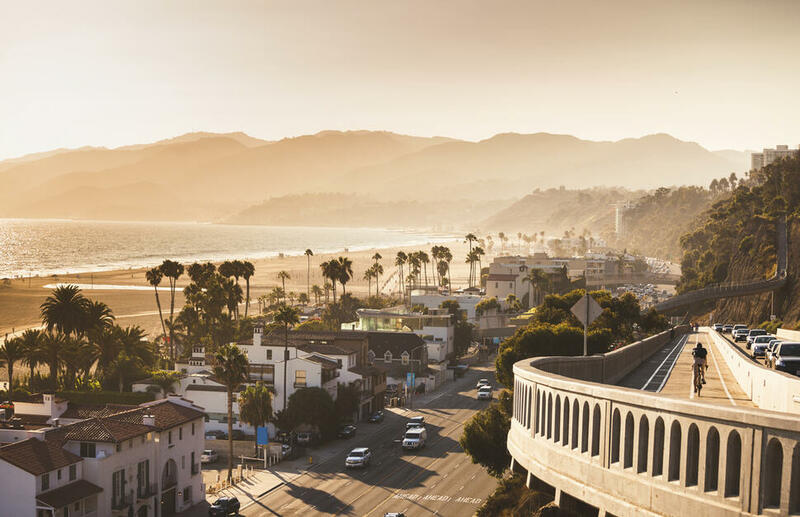 Take to the road to head over to the glitz and glamour of Los Angeles for some chill time, or maybe not. 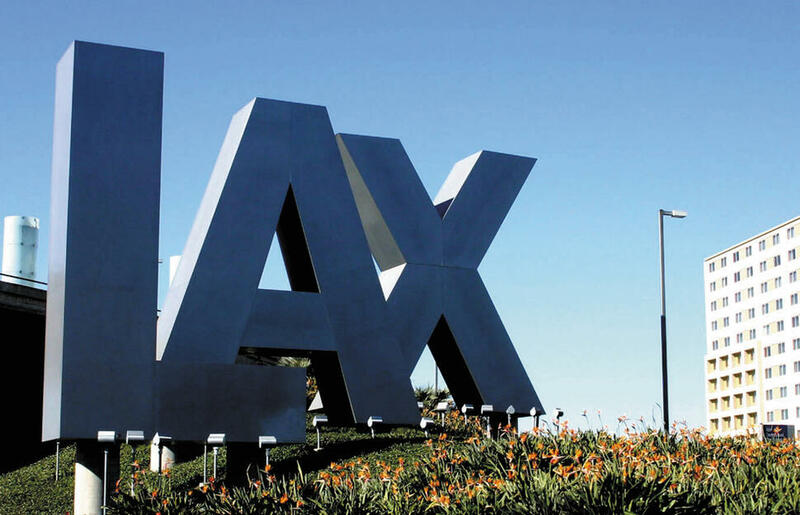 Beaches, restaurants, film sets, music studios, tours and nightlife, whatever your mood, LA has something for it. Don&apos;t forget to grab an Insta-worthy picture of the Las Vegas and Hollywood signs! 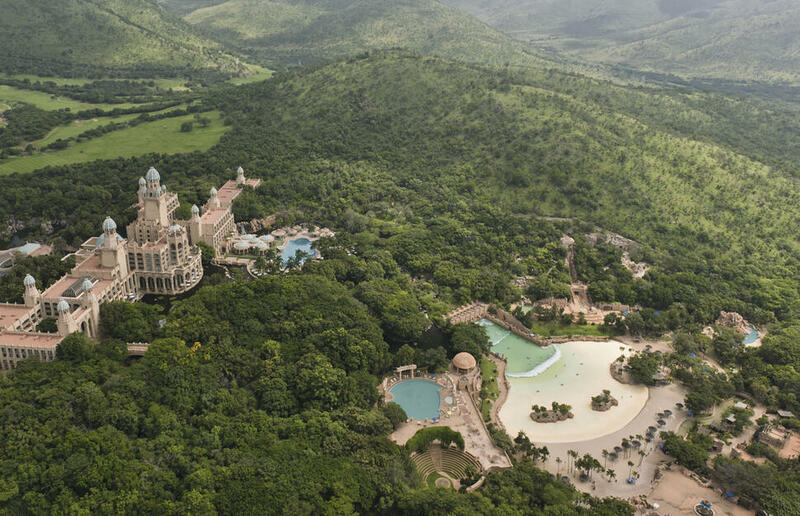 Discover fun-filled attractions and flashy entertainment of Sun City before heading to South Africa’s fifth largest reserve which is home to than 60 large mammal species and 300 types of bird. 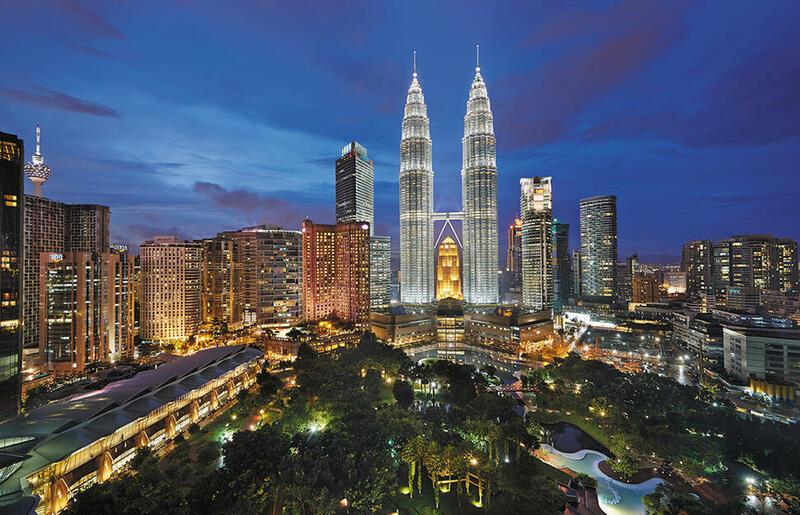 Kuala Lumpur, affectionately referred to as &apos;KL&apos;, is Malaysia&apos;s buzzing capital! 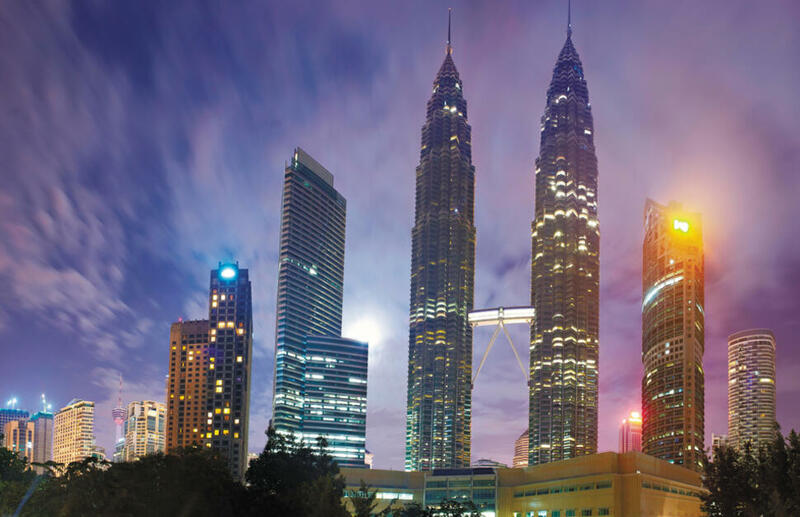 The architecture varies from historic mosques and temples to modern towers and shopping malls. After dark, a cosmopolitan array of bars spring to life! 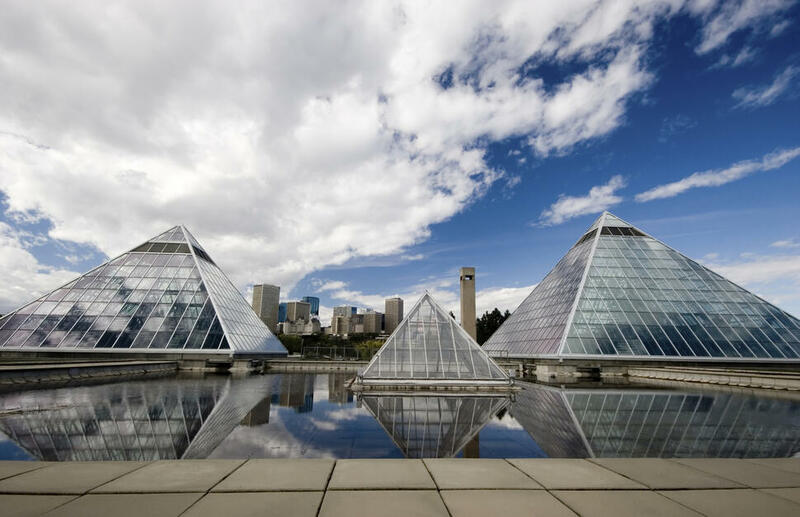 Edmonton is a young city with hip start-ups, cool cafes and locals that love any excuse to go out on the town. From June through August, the sun can rise as early as 5:00am, and sets as late as 10:00pm, so that’s 17 hours of vitamin D and plenty of time to pack in warm-weather activities. Jasper is known for being one of the most picturesque resorts and this easy-going alpine town has locals that treat you like long-lost pals, plus there&apos;s always something amazing and outdoorsy to do. The mountain town&apos;s got a lot to love: historic charm, super beautiful natural surroundings, and all the amenities you could ask for. There’s a reason everybody’s heard of Banff. 40 years ago a desert, today one of the world&apos;s top holiday destinations! Dubai is the place to be right now. 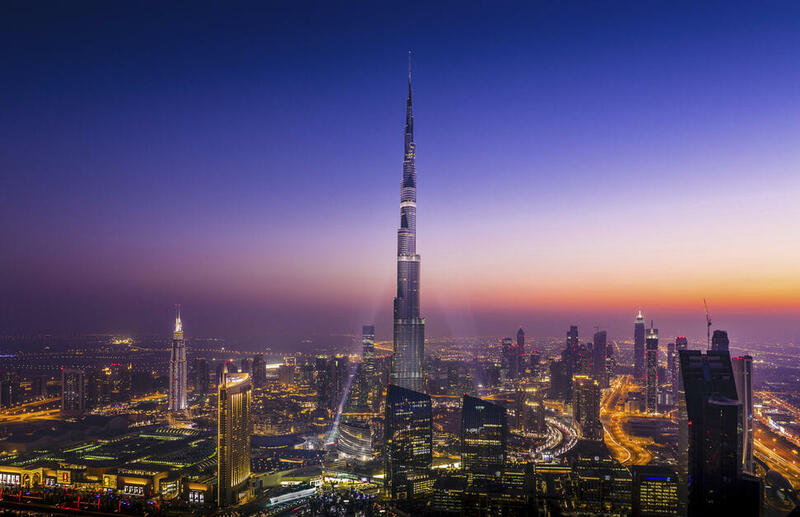 Home to the tallest building in the world - the Burj Khalifa, the magnificent man made Palm Jumeirah, state of the art shopping malls and cutting edge activity centres means it really does have something for everyone. 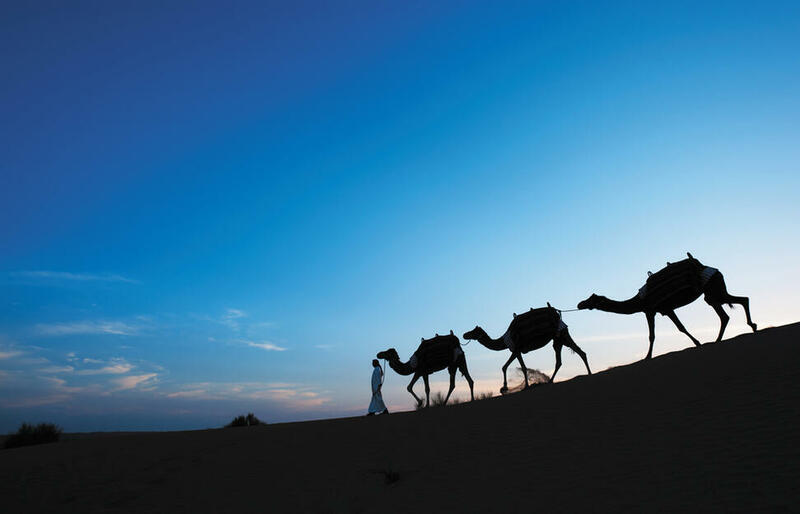 You also have the natural beauty of the desert right on the doorstep, Middle Eastern culture and heritage waiting to be explored and of course stunning hotels to enjoy some R&R. Explore the different neighbourhoods. 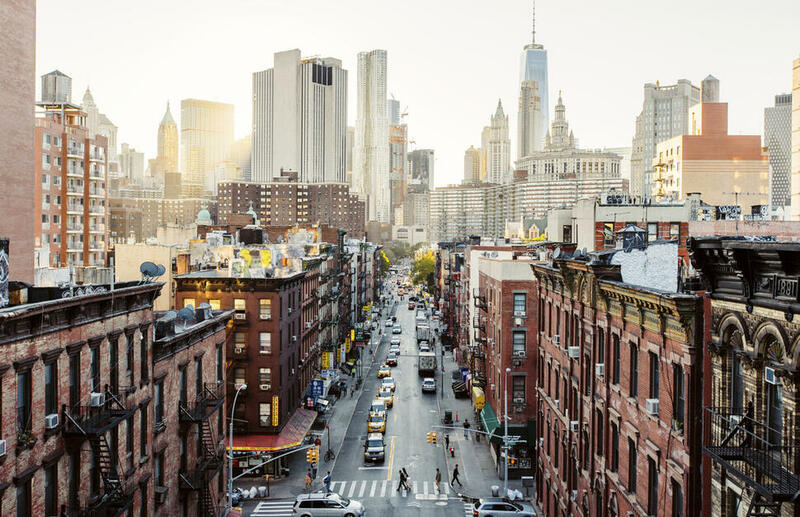 Spend time in Chelsea, with its trendy shops, boutiques, restaurants and galleries as well as jazz clubs and off-Broadway theatres. Or how about Greenwich Village for a laid-back feel, with cafes, shops and clubs. Then onto the political epicentre of Washington DC, explore US Capitol and the Lincoln Memorial. The world-famous White House is a must too! 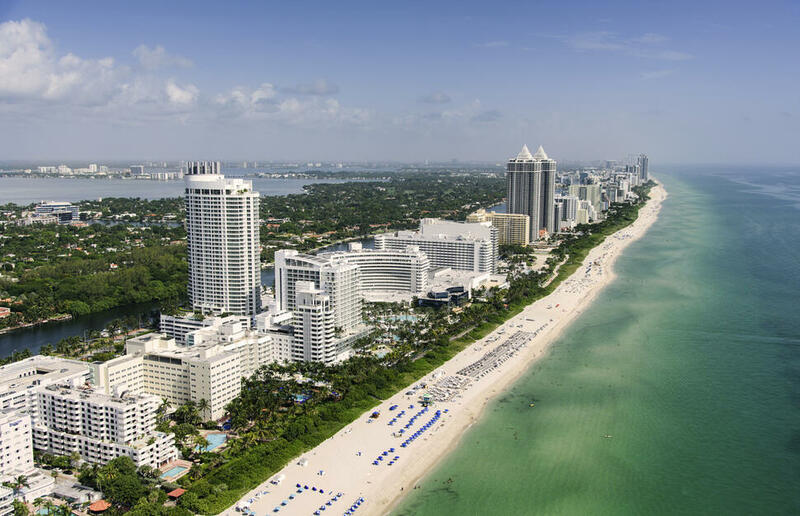 Discover Miami, where fusion Latin dining, miles of paradise beaches and dazzling night-life await. 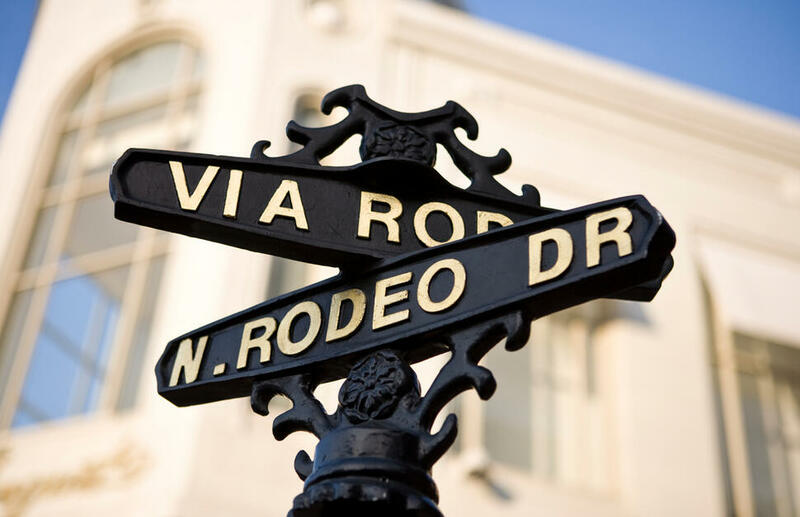 Explore &apos;SoBe&apos; for cool night spots and Millionaire&apos;s Row for a glimpse of the rich and famous. 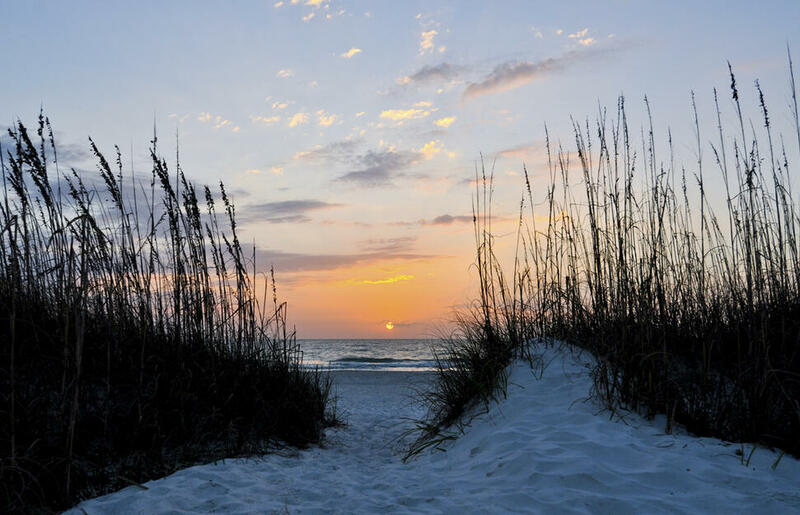 A buzzy beach-vibe and shopping too-this is Florida at its best. Just when you think it can&apos;t get much better, you&apos;ll head to the Bahamas for some rest and recuperation, where you can simply enjoy this picture perfect paradise, whether you would like to island hop or simply sit back with a cocktail or two! 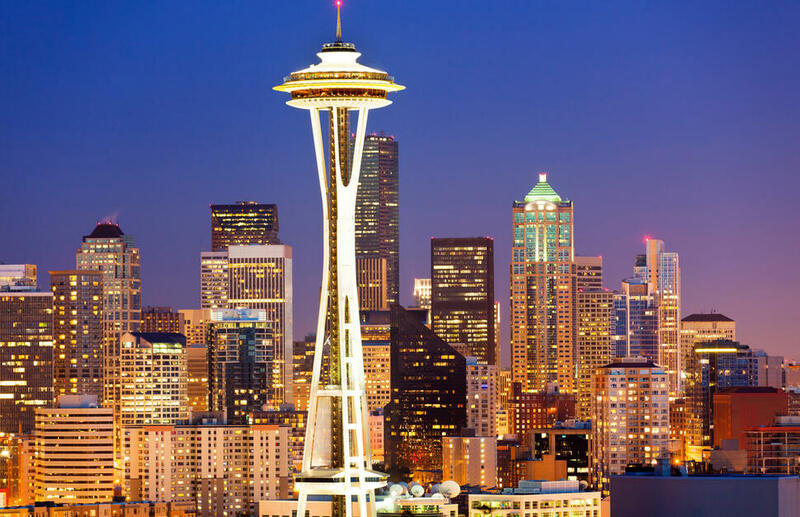 A city of bright lights, crazy dreams, spectacular shows and the biggest casinos in the world. Travel to New York, Egypt, Paris and Venice in one day, get married by Elvis, gamble it all away at the casino, or ride on a roller coaster on top of a hotel tower. 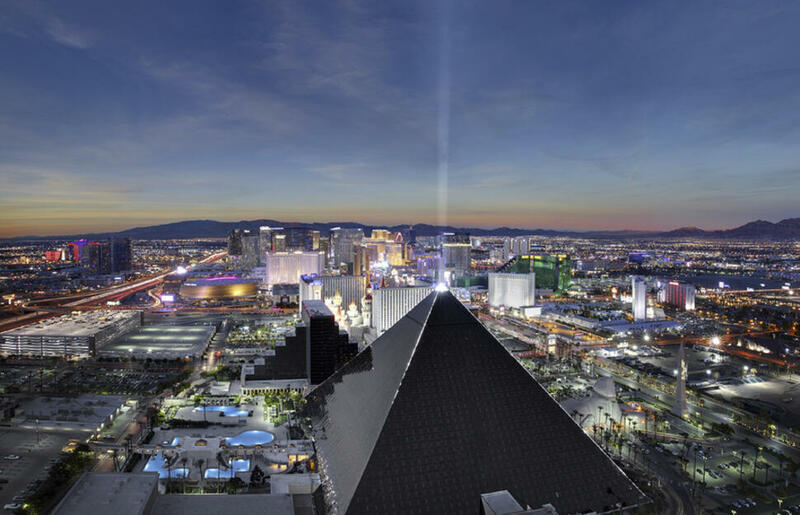 What happens in Vegas, stays in Vegas... unless you want to continue your adventures into Mexico where you will find lively beaches and excellent hotels offering a superb range of amenities and activities. Unleash your shopping queen with a trip down 5th Avenue, New York&apos;s famous fashion district. Seek a tranquil picnic spot in Central Park and admire the cityscape from afar. 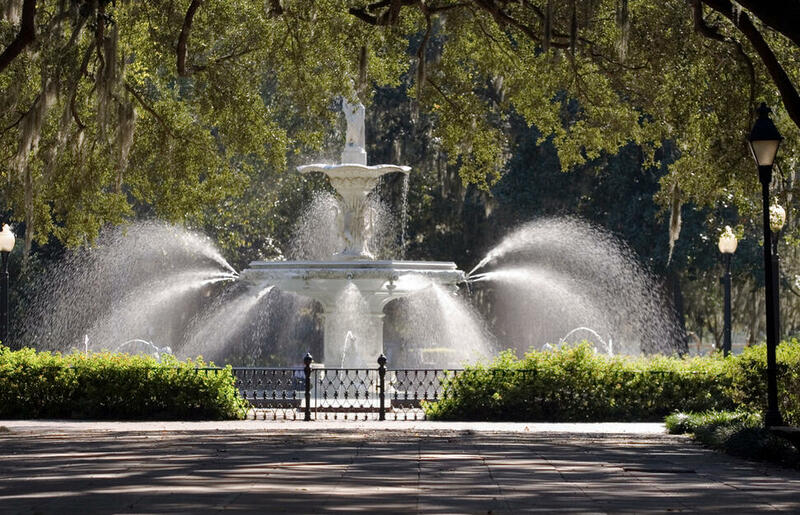 Pass cherry blossom trees, a wildlife sanctuary and neoclassical Bethesda Fountain on the way, before heading south to Miami, sun central. 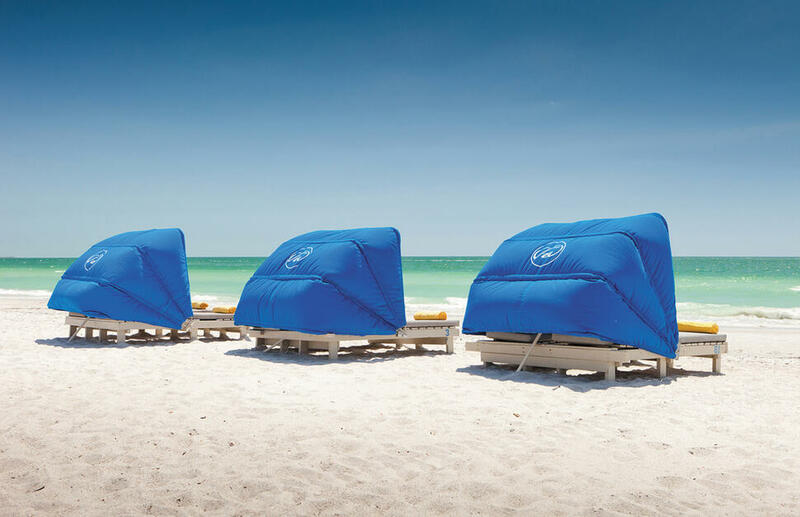 Soak in some rays on the stunning Atlantic coastline of South Beach before heading to tiki, roof top and classy beachfront bars. Watch out for paparazzi as this is the land of the rich and famous! 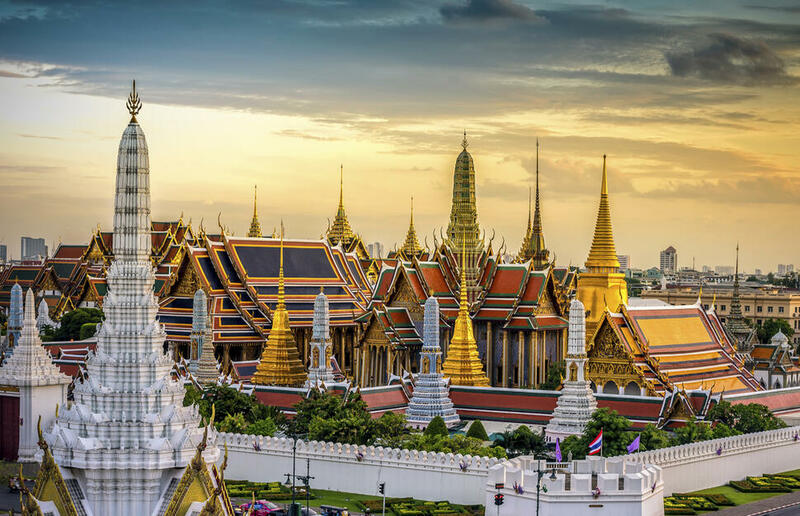 Begin in the vibrant capital of Bangkok where you can experience the street markets, a trip to the Grand Palace or soak up the atmosphere in the many bars and restaurants on the famous Khao San Road. Next head over to Phuket to dip your toes into the warm shallows of the Andaman Sea and enjoy the famous nightlife of Patong. Toronto beckons you to explore its Chinatown, Indian Bazaar and culture-rich neighbourhoods. Dine in style at the CN Tower in its very own revolving restaurant, offering unrivalled 360-degree views over this awe-inspiring metropolis. Visit the awesome spectacle of Niagara Falls, a wonder of the world and unforgettable experience. View from the Skylon Tower Observaton Deck or from the top of Clifton Hill&apos;s Niagara SkyWheel. Havana is a city that offers a unique insight into Cuba&apos;s history at every turn you take, it is no wonder the city was declared a UNESCO World Heritage site. From the charm of the colonial buildings to the rhythm of salsa playing through the streets, this city has so much to offer and after a long day exploring the cobbled streets why not enjoy a mojito at one of the cities roof top bars! Arrive in Las Vegas, the biggest, brightest entertainment capital of the world. 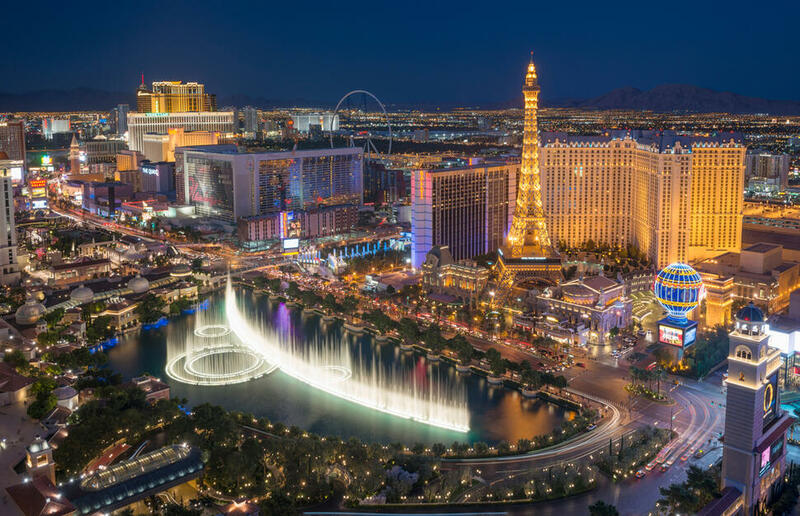 Spend your days in Vegas taking in Cirque du Soleil®, Broadway musicals and other spectacular shows, shop in world-class stores and dine around the globe, before you try your luck in the casinos. 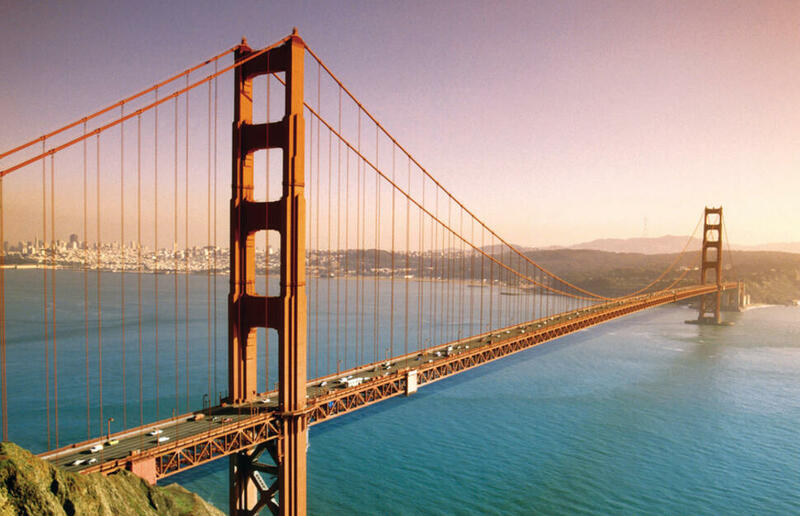 The cosmopolitan city of San Francisco will make you feel as though you’re on a film set. 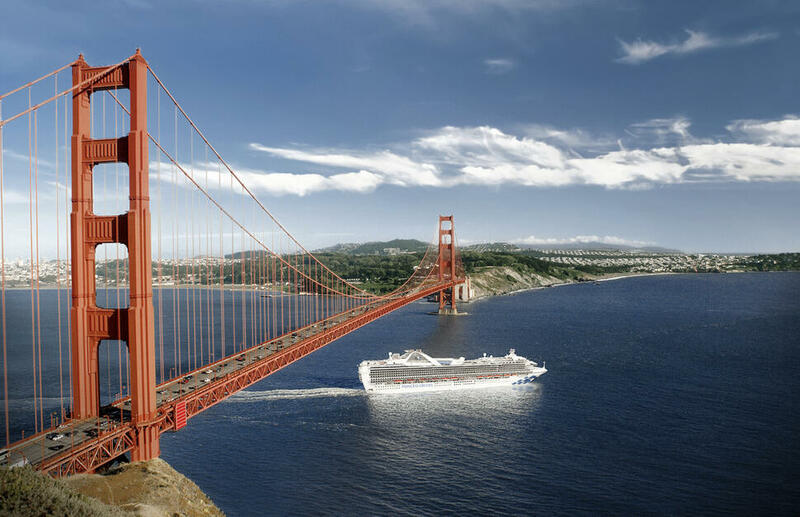 Take in the iconic sights such as the Golden Gate Bridge, Fisherman’s Wharf, Chinatown and Alcatraz. Ride the trams to Union Square and enjoy great restaurants, bars and trendy shopping. 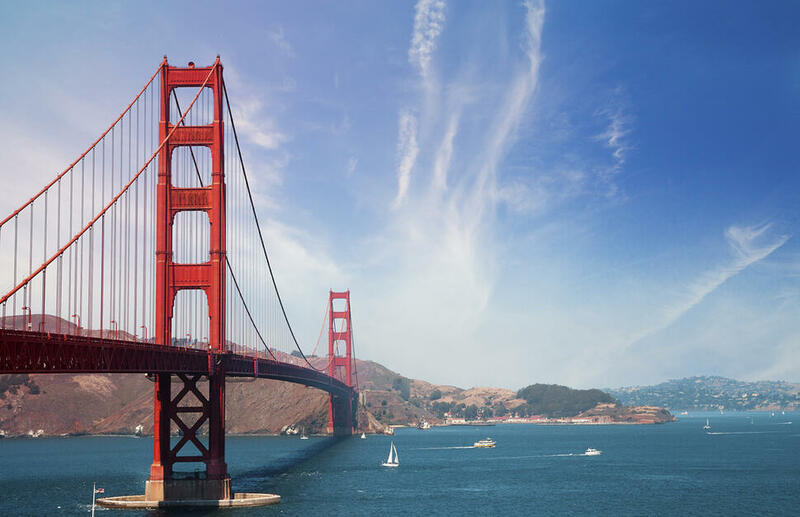 If you have time, venture across the bridge and visit the beautiful coastal town of Sausalito, with its quaint shops, art galleries and waterfront restaurants. 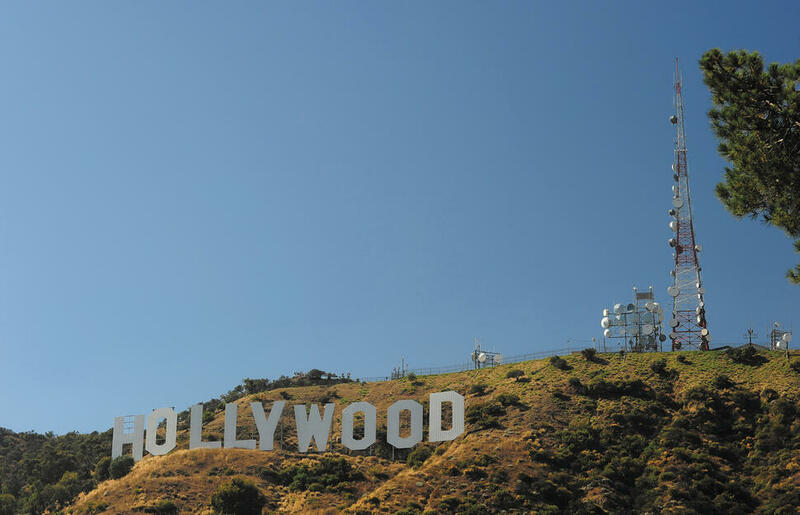 LA, among the USA’s most vibrant and exciting cities and the epicentre of the movie world. 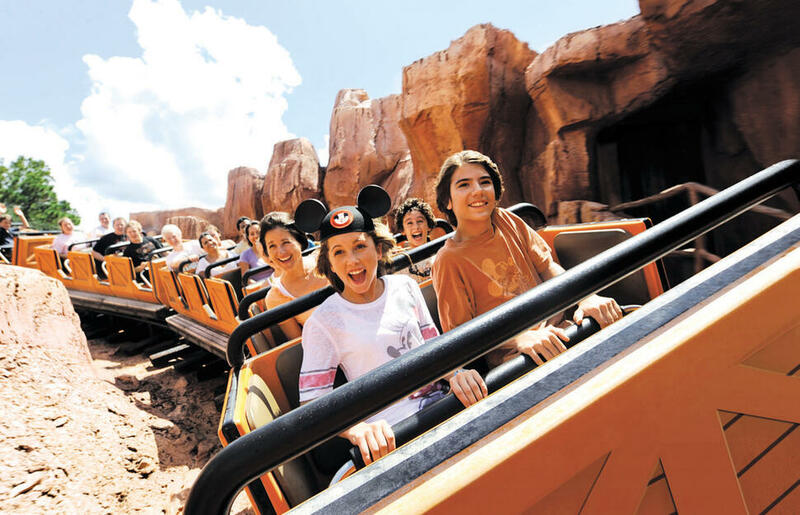 Soak up the movie madness of Universal Studios, Hollywood, before a magical trip to the Disneyland® Resort. San Diego, a sophisticated metropolis and dubbed America’s finest city, unveils gleaming white sands and exiting marine life at the city’s SeaWorld®. San Diego Zoo is a must and is the largest in the world. 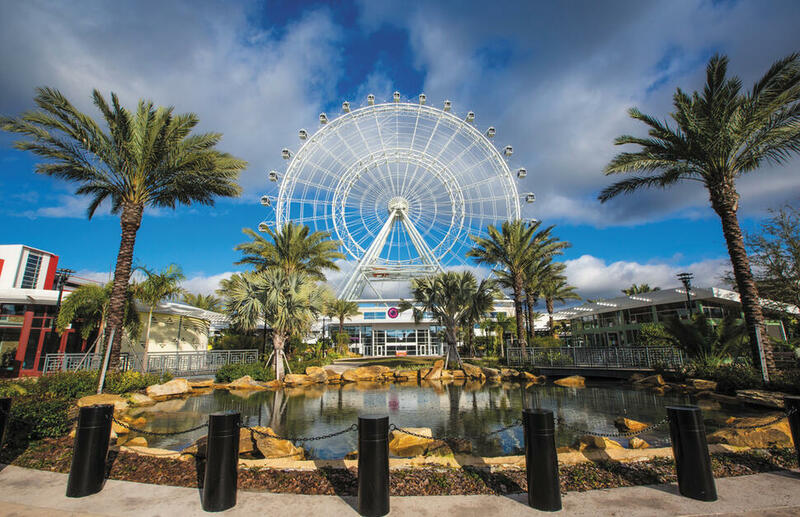 You’ll get up close to more than 600 species and 3,700 animals! 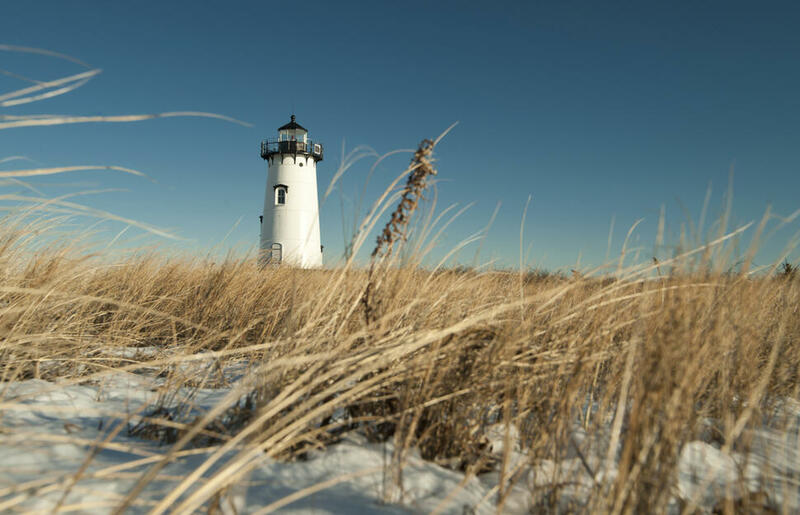 These contrasting destinations make for an exciting getaway. Dubai has so much to offer and is home to iconic attractions. Discover the city&apos;s fine dining restauarants and vibrant nightlife, soak up the culture or perhaps try indoor skiing or venture out on a desert safari. After a few days exploring, head for the more laid-back atmosphere of the Maldives. 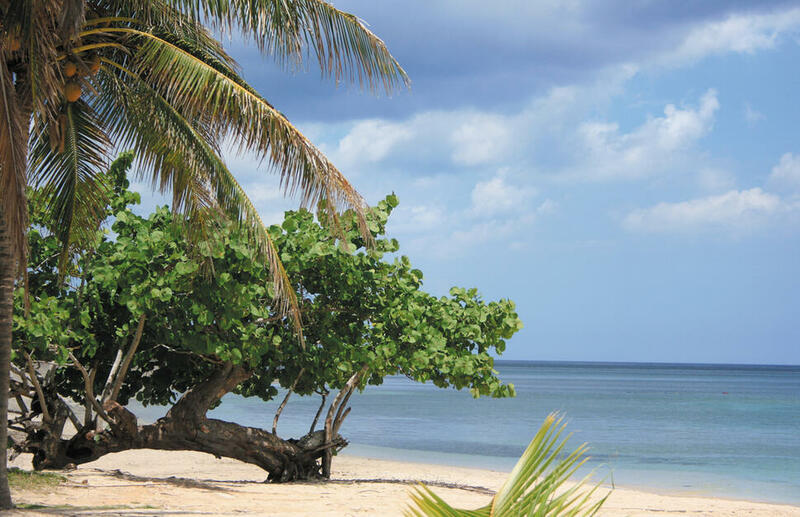 You can slow things down by relaxing on the beach, snorkel with the fishes or maybe visit the whale sharks. It&apos;s time to relax in paradise. A perfect destination combination for celebrity spotting and a bit of R&R. Los Angeles offers a heady mix of glitter whilst Palm Springs is a place for pure self-indulgence and uninterrupted leisure. New York can&apos;t sleep. It heard you&apos;re coming. Once you have discovered the views from the Empire State Building, taken a helicopter ride over Staten Island and shopped out in the famous Macy&apos;s department store on West 34th Street... Then head on over to Bermuda, where a 21 square mile paradise awaits you. Bermuda’s unique mix of British Charm and Island Soul, makes this a truly distinctive island getaway. The Strip, Central Park, the Empire State Building, the Grand Canyon, Zion National Park, the Golden Gate Bridge… need we go on? You’ll be living a real American dream on this holiday. 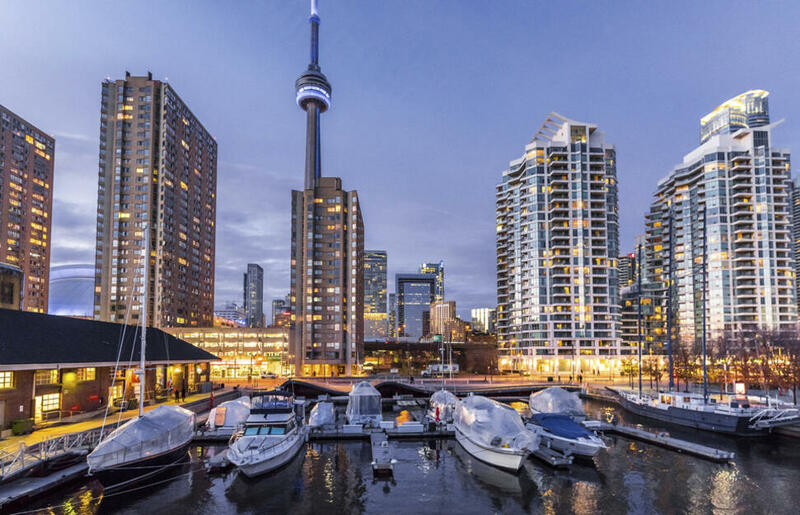 Toronto beckons you to explore its Chinatown, Indian Bazaar and culture-rich neighbourhoods. Dine in style at the CN Towers in its very own revolving restaurant offering unrivalled 360-degree views over this awe-inspiring metropolis. 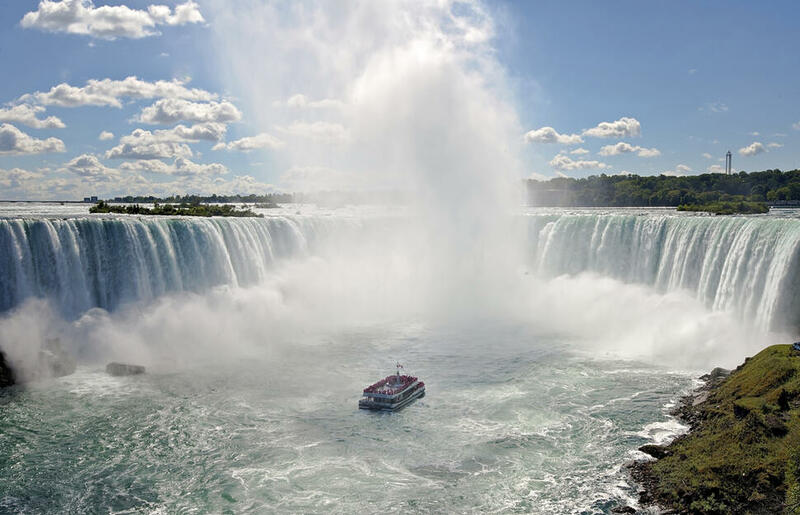 Visit the awesome spectacle of Niagara Falls, a wonder of the world and unforgettable experience. View from the Skylon Tower Observaton Deck or from the top of Clifton Hill&apos;s Niagara SkWheel. We’ve mixed it up a little. We’ve created a holiday that combines an exotic beach holiday in Hawaii with the glitz and glam of LA. First stop is in The City of Angels, Tinseltown, La La Land. Whatever you want to call it, the mountains, food, and culture of LA is truly seductive. Then onto the Hawaiian Islands, which boast some of the world&apos;s most dramatic scenery, including tropical rainforest and miles and miles of sandy beaches. 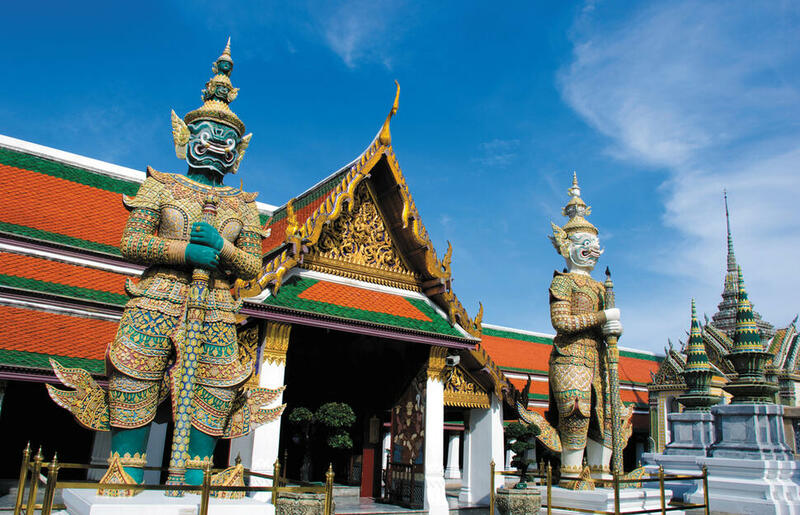 Bangkok is an adventure...hectic pace, smiling crowds, the wonderful disorder of it’s geography, the constant mix of old and new, the heady night-life and the amazing culinary scene! That’s not where the adventure stops though, after Bangkok a weeks well earned relaxation is in order and Hua Hin is just a couple of hours drive away! First hit the glitzy L.A. Rub shoulders with the stars and drive through the hills. Remember to get your photo by Hollywood’s famous sign. Tinsel Town is so much more than glitz and glamour. 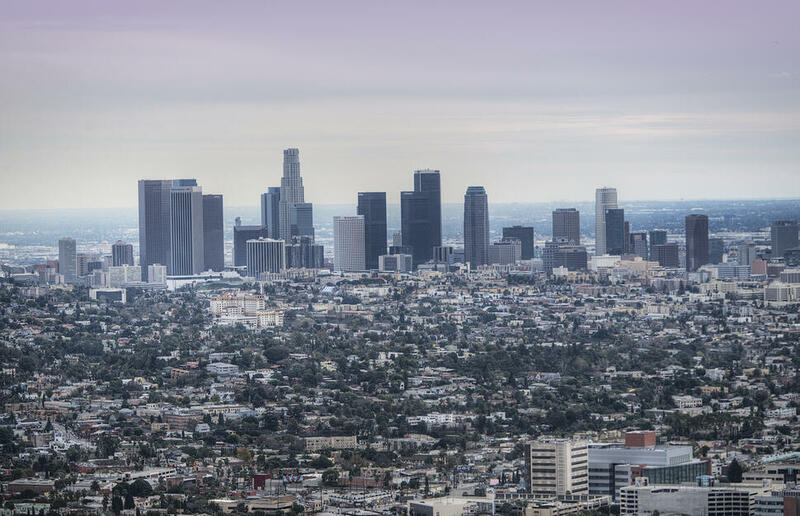 As well as the &apos;must see&apos;s&apos; of Hollywood, Beverly Hills and Santa Monica, why not see what else LA has to offer. 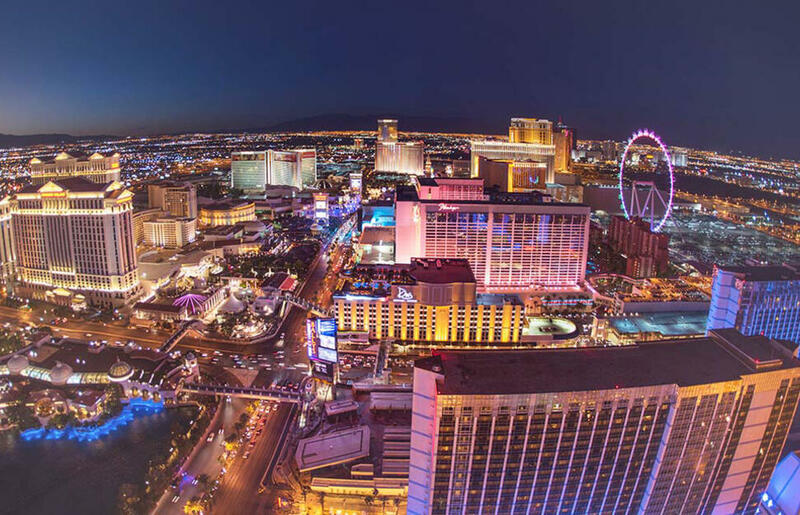 Arrive in the dazzling Las Vegas, eat in world-famous hotels perhaps enjoy the &apos;City of Lights&apos; from the best view possible: THE SKY! Spend your days in Vegas taking in Cirque du Soleil ®, Broadway musicals and other spectacular shows and try your luck in the casinos. 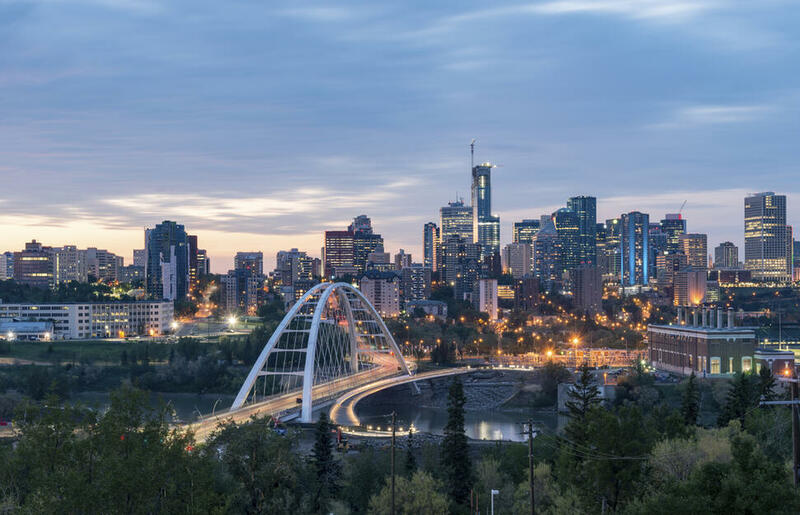 Edmonton embraces winter and is a perfect start to your winter adventure in The Rockies. The city has a youthful feel to it, with its hip start-ups and cool cafés. 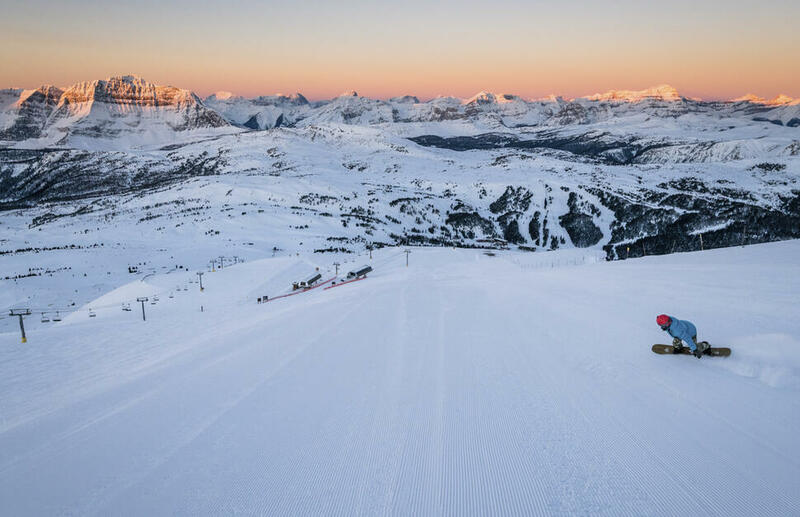 Jasper is known for being one of the most picturesque, and the natural beauty of Marmot Basin ski resort is striking. 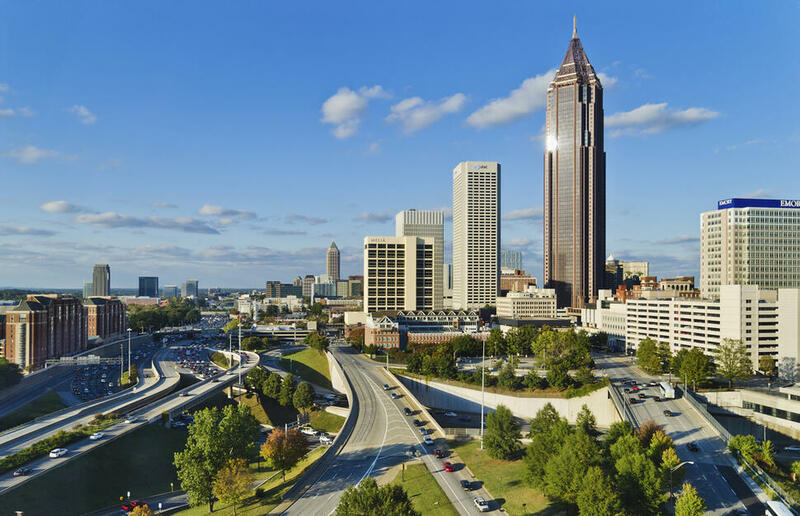 The ultimate tour for city slickers! 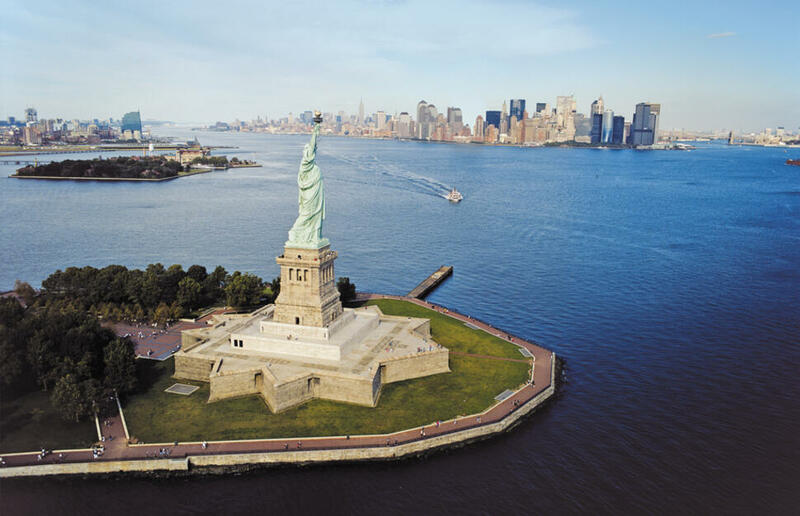 Visit the iconic Statue of Liberty and marvel at the views from across the water. From a slice of the Big Apple to some US history, explore the nation&apos;s most historic square mile with Philadelphia&apos;s famous Trolley Tour. 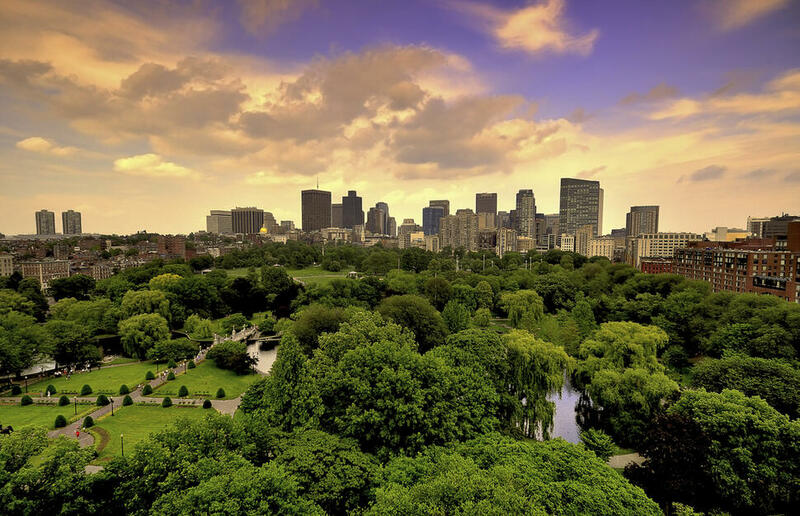 With expert tour guides, absorb the burial grounds and Benjamin Franklin&apos;s former home. Even stop by those famous steps from the Rocky movie. 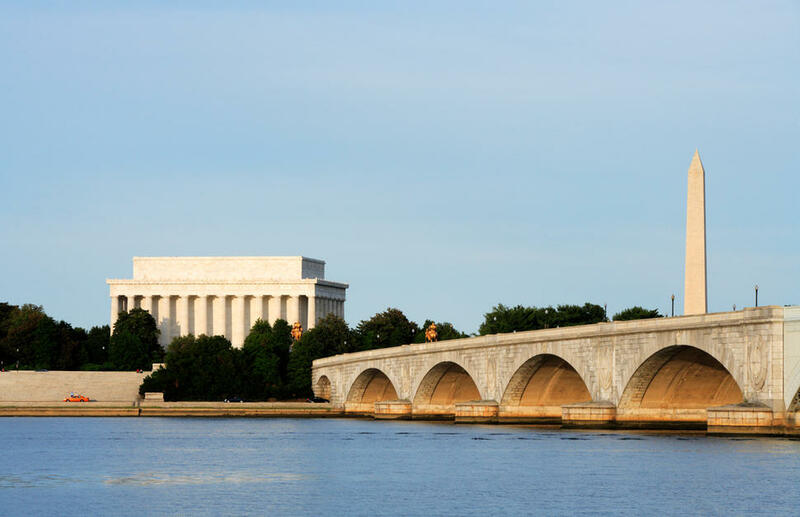 In the political epicentre of Washington DC, explore US Capitol and the Lincoln Memorial. The world-famous White House is a must too! 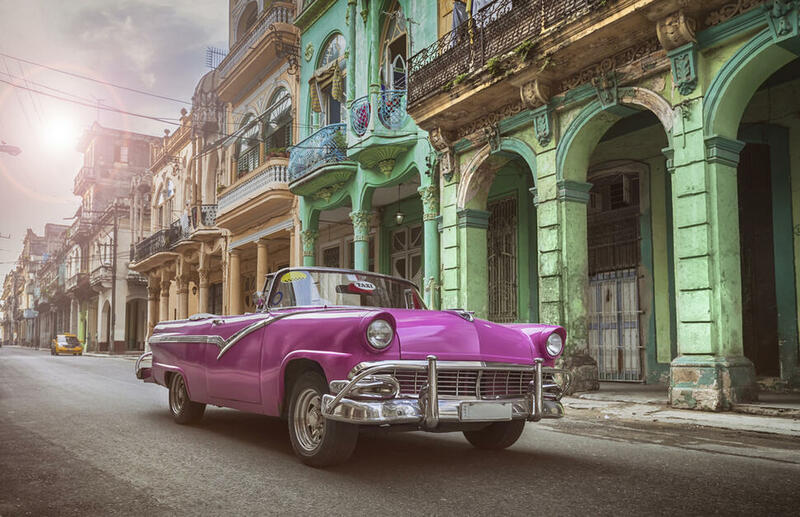 Experience Cuba in all its glory. 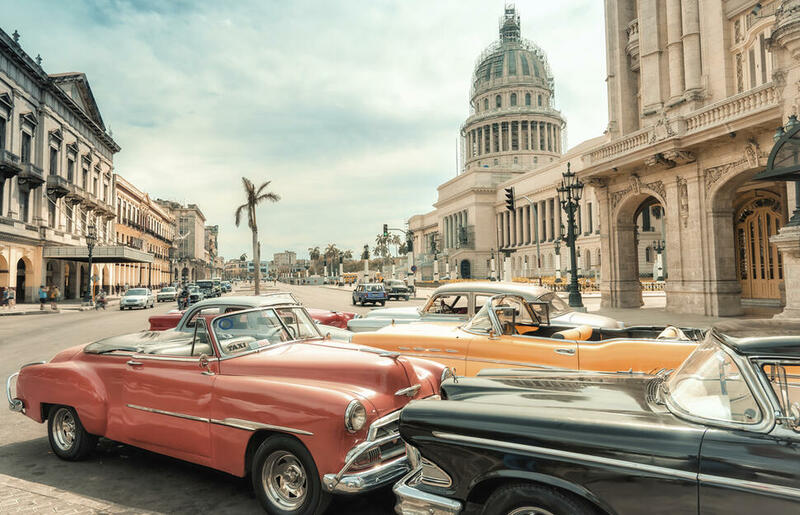 Walk along the cobbled streets of Havana listening to the beat of the Cuban salsa as you explore the rich history and culture the city has to offer. Sample the delicious mojitos and different rums, learn to salsa and feel the energy and passion in the streets. Once you have been enchanted by the warm hospitality of the Cubans in Havana, take a trip out to Varadero to relax on the soft beaches. Dip in the crystal clear ocean, explore the Artisan markets and dance the night away in the famous Casa de la Musica. 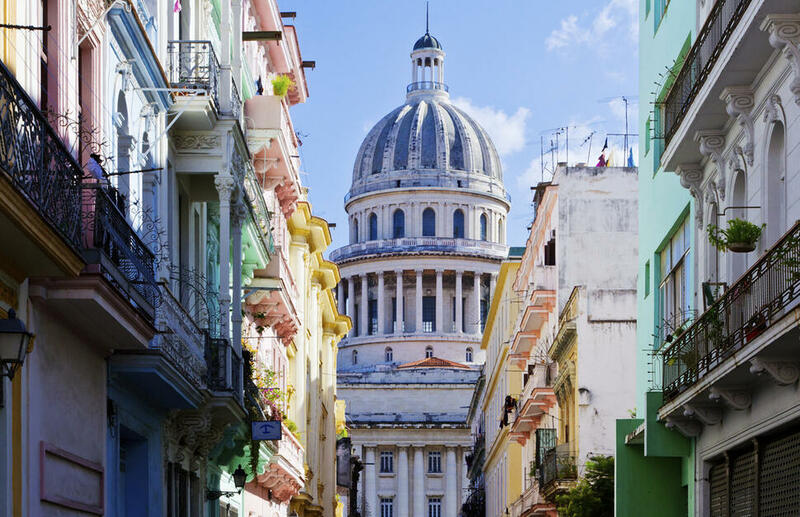 Walk along the cobbled streets listening to the beat of the Cuban salsa as you explore the rich history and culture Havana has to offer. Sample the delicious mojitos and different runs, learn to salsa and feel the energy and passion in the streets. 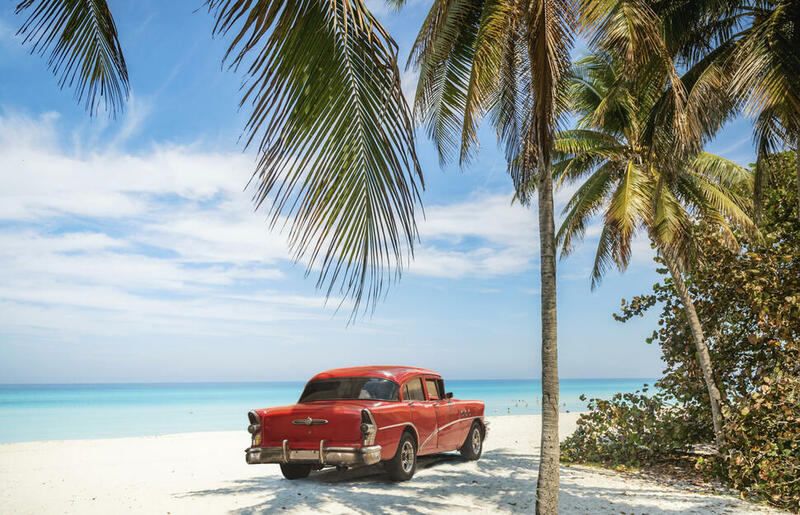 Once you have been enchanted by the warm hospitality of the Cubans in Havana, take a trip out to Varadero to relax on the soft beaches. Dip in the crystal clear ocean, explore the Artisan markets and dance the night away in the famous Casa de la Musica. As British Columbia’s largest city, Vancouver is a haven for outdoor enthusiasts and cosmopolitan adventurers alike. 30 kilometres of uninterrupted waterfront path surround Vancouver’s favourite neighbourhoods, including the seawall around Stanley Park. 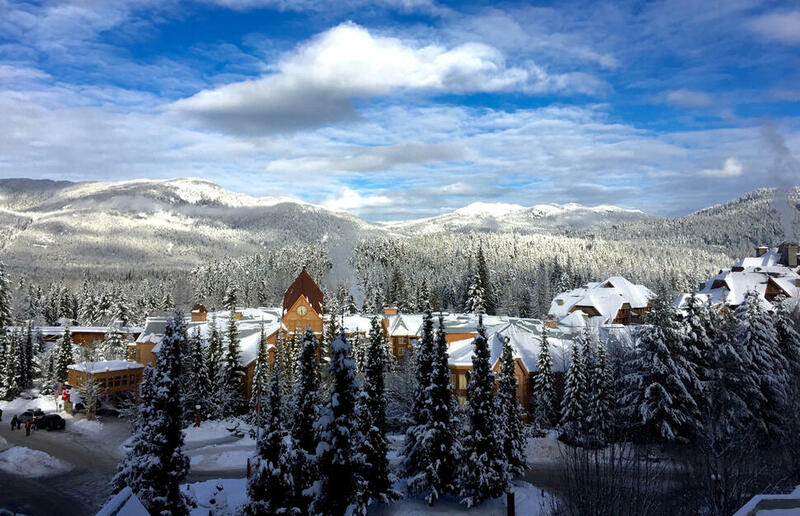 Whistler, just 2 hours north of Vancouver is one of the largest ski resorts in North America, but it offers a lot more than just skiing and snowboarding. There is a lifetime of adventures and experiences to be had during summer in Banff and Lake Louise. You can jam pack your day with action and adrenaline or choose to embrace the tranquility of Banff National Park’s quieter spots. Lake Louise is known for its turquoise, glacier-fed lake ringed by high peaks and overlooked by the famous Fairmont Chateau Lake Louise. 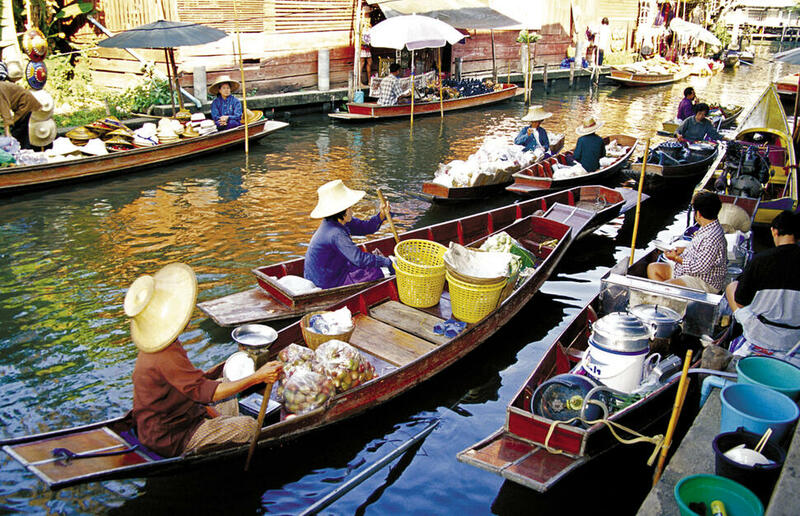 Phuket is an island of fun, linked to the mainland by a causeway and blessed with long stretches of white sand beach hidden in sheltered coves. At the end of a lazy day, nature creates it&apos;s own magical event with stunning sunsets setting the sky on fire. Water sports facilities at the hotels are excellent and a boat trip past Phang Nga Bay with it&apos;s stunning limestone scenery is essential! Phuket is the most lively of the Thai islands and that means the there is a exciting night-life scene - it&apos;s at it&apos;s hottest in Patong, here you can party all night! 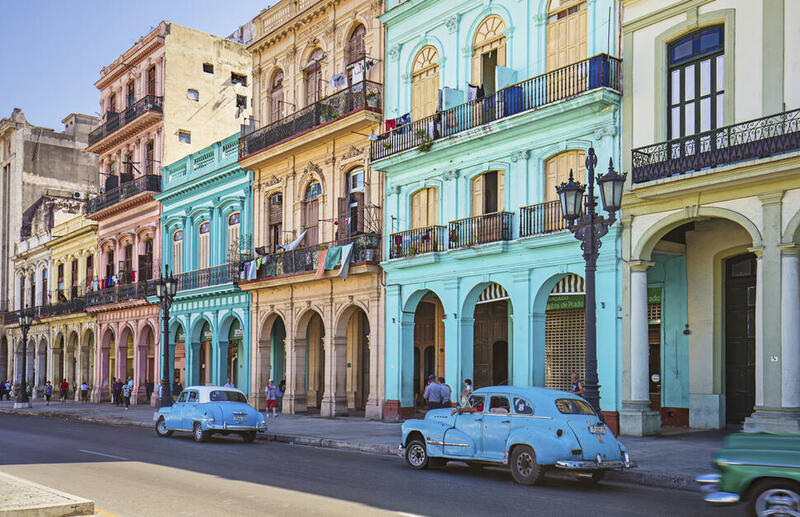 Oozing charm and culture, it&apos;s no wonder Havana was declared a UNESCO World Heritage site. Learn to salsa, sip mojitos and try different rums, and enjoy the colonial charm at every turn you take. Once you&apos;ve experienced all that the city has to offer, head to Jibacoa for some much needed rest and relaxation on the white sand beach, or at the poolside. 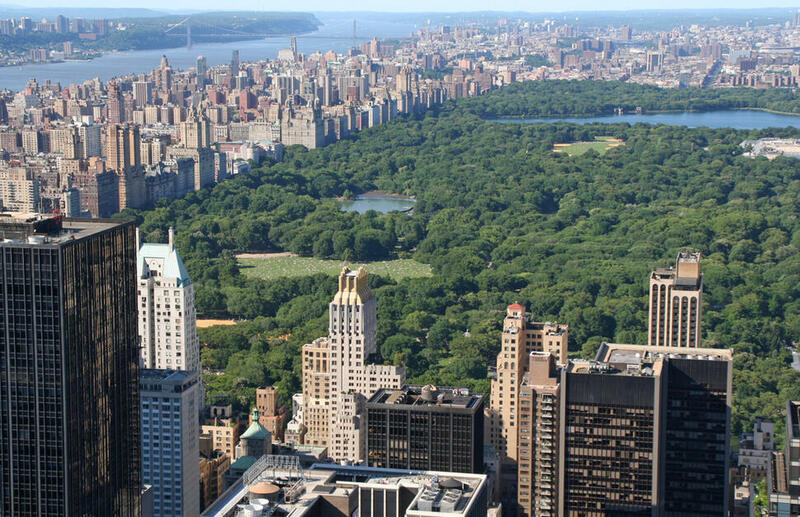 Explore the &apos;concrete jungle&apos; that is New York city on foot, cab, subway or even helicopter! This is the city that never sleeps and with an abundance of attractions to see, neither will you! 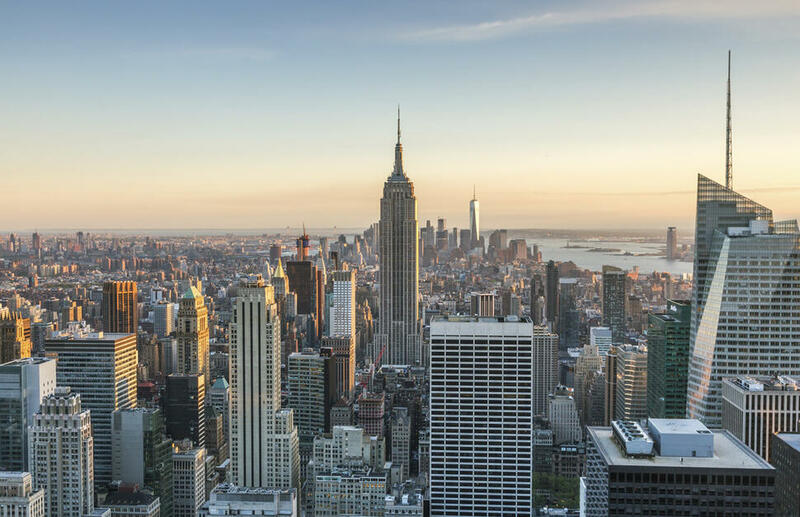 Check out sites such as the Empire State Building, American Museum of Natural History, Top of the Rock and The Museum of Modern Art all of which form part of the New York CityPASS. Then head over to Vegas, home to the biggest casinos and the most spectacular shows in the world where you can travel to New York, Egypt, Paris and Venice in a day and get married by Elvis. What happens in Vegas, stays in Vegas. 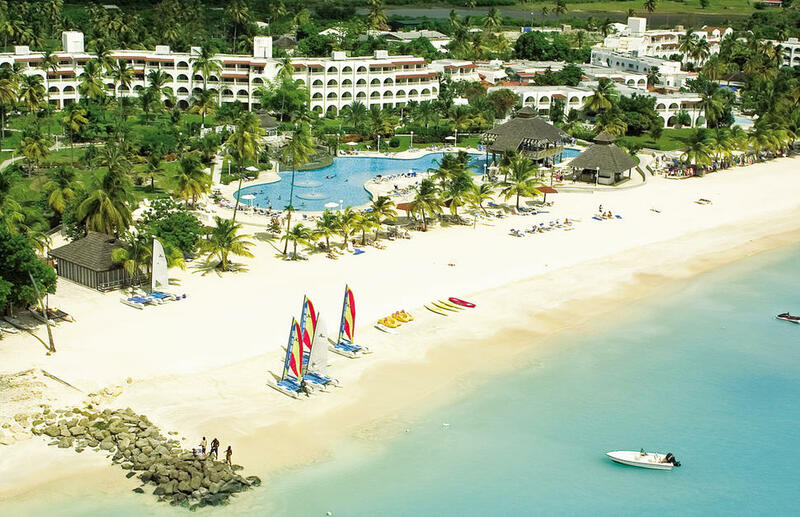 Antigua and St Lucia, such small islands but both pack a big punch. 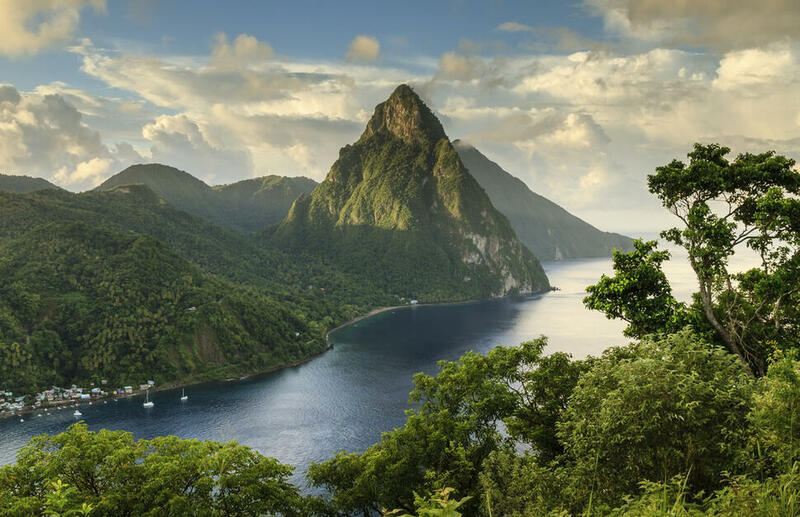 With the beautiful beaches of Antigua and the warm waters and friendly welcome, through to the picturesque beauty of St Lucia, with the pitons towering above the lush rainforest and the tranquil cove of Marigot Bay and the great Creole food — this twin centre stop will leave you trying to decide which island you loved best!